NIGHT FURY EGG comming soon? 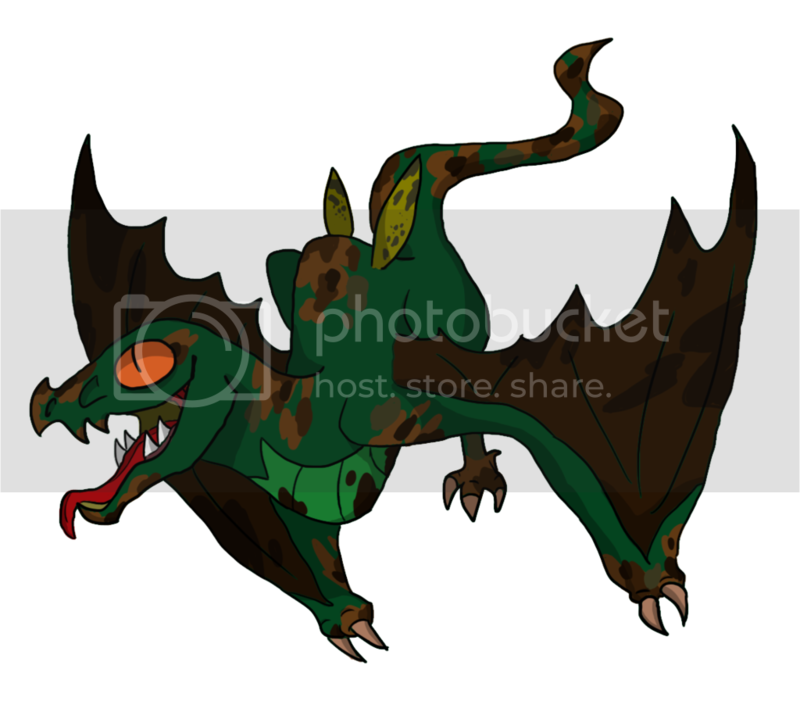 I heard about Night Fury egg comming in SoD soon. I am sure it will come but when? 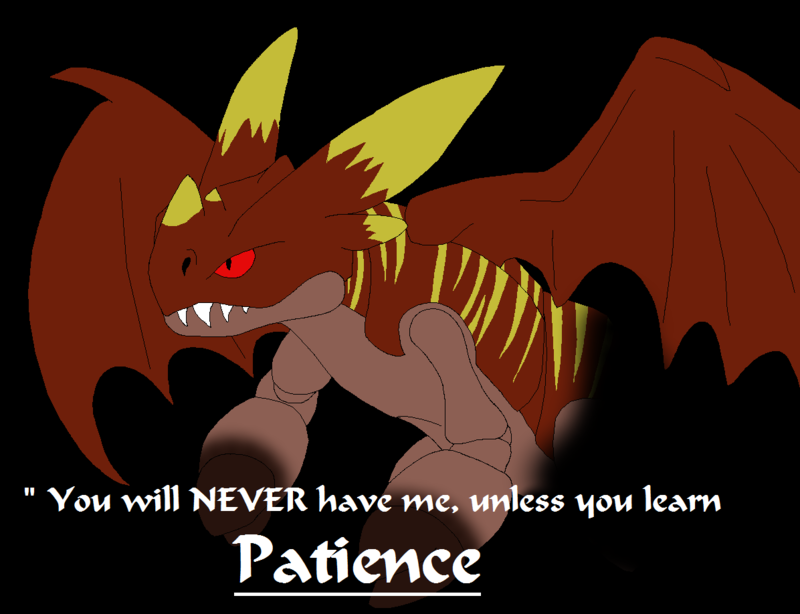 But maybe it will come just after httyd3 where will be more night furys not just toothless. So if u know on 100% when it will come to SoD please write bcs i am glad to see Night Fury egg in SoD. I think it will come soon but i rlly dont know. I read not very long ago that in httyd 3 toothless will find a girlfriend, yep, another night fury but I'm not so sure if the egg from the expansion pack is from a night fury, the egg was HUGE, and it was glowing blue, night furies are known for their black color to blend with the night skies so why would the egg have such a bright color for a black dragon? No sense for me. Nightfury eggs glow before they hatch. They seem to turn black when they are about to hatch. She loves too fly fast with the lighting. Loves to eat angler fish. 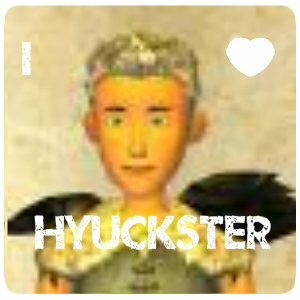 We share a bond like hiccup and toothless. Loves to roam the tunnels and be with other whispering deaths and screaming deaths. She just had two screaming death babies. She loves eat salmon. Very and spontanious you never know what she would do next. just don't touch her tail she hates that. Loud, fast and docile, she is named after my little cousin. This is my pride and joy she is sweet and loves to play. She loves al the other species of dragons. She just needs a mate. 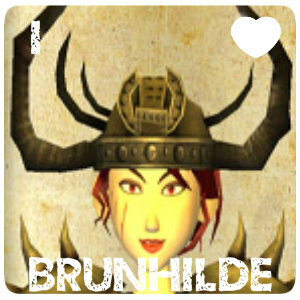 She loves people but hates hackers and fire trolls. 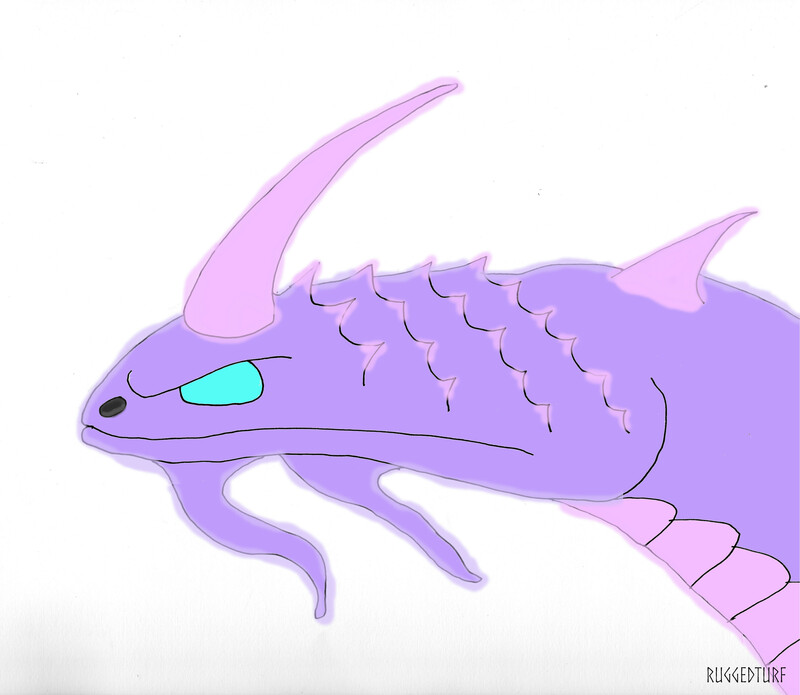 Where did you heard about the night fury egg? 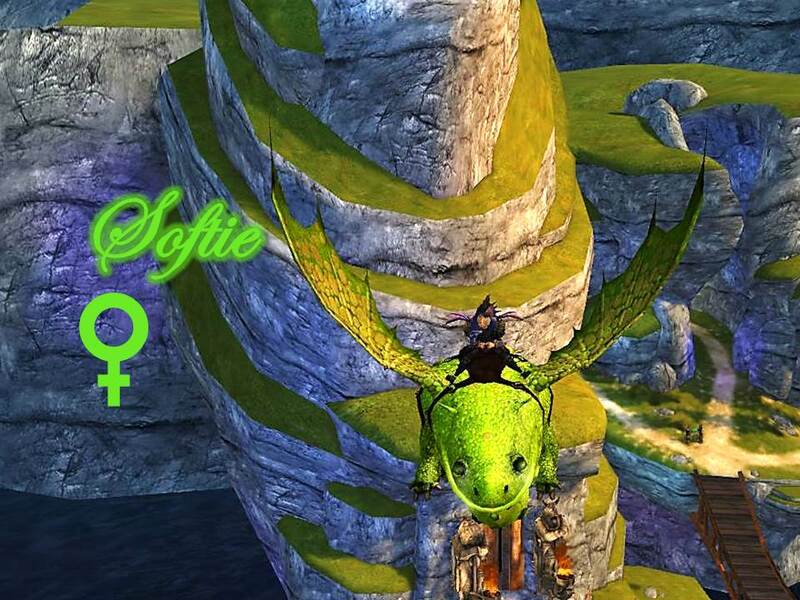 I'm not entirely sure that it will be added to the game, as there are already membership Toothless' flying around. Although, I can't wait for HTTYD 3 to come out, it sounds amazing! Signature Under Construction due to photos not appearing! More info at the end of my signature! You can also find me in Starstable! The thing is, there was a thread a while back on voting what the egg was and people were speculating that it was a bewilderbeast/red or green death egg. It would make sense of an egg of that color and size, especially for it to be found in the nest of a green death. 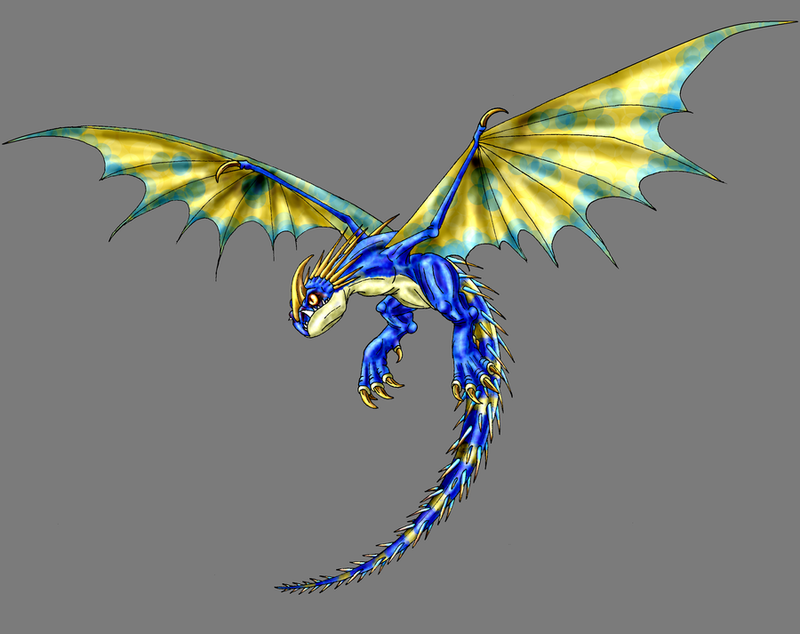 Also, i don't think SoD will introduce a nightfury egg into the game so soon without the release of a third movie and confirmation that other nightfuries exist within range of the archipelago but eh? 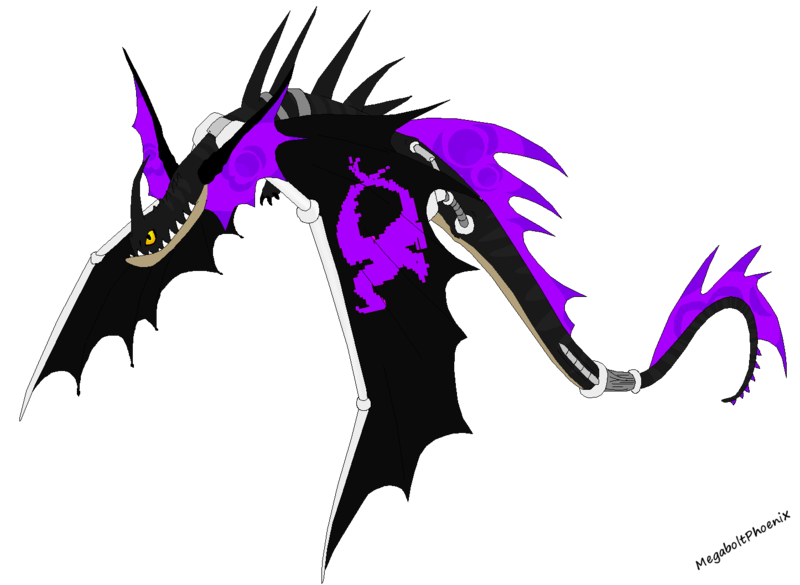 I'm also pretty sure nightfury eggs are supposed to be black but i could wrong heh. Im sorry if i feel like a party pooper and just ruining your hopes for a NF egg. But remember, this is all speculation. Also you shouldn't believe all sources you hear, as a majority of them aren't reliable and are just rumors, etc.. I understand your hype for a NF, however. Hello! And welcome to my siggy! My username is SpaceyQueen, but you could just call me Spacey. 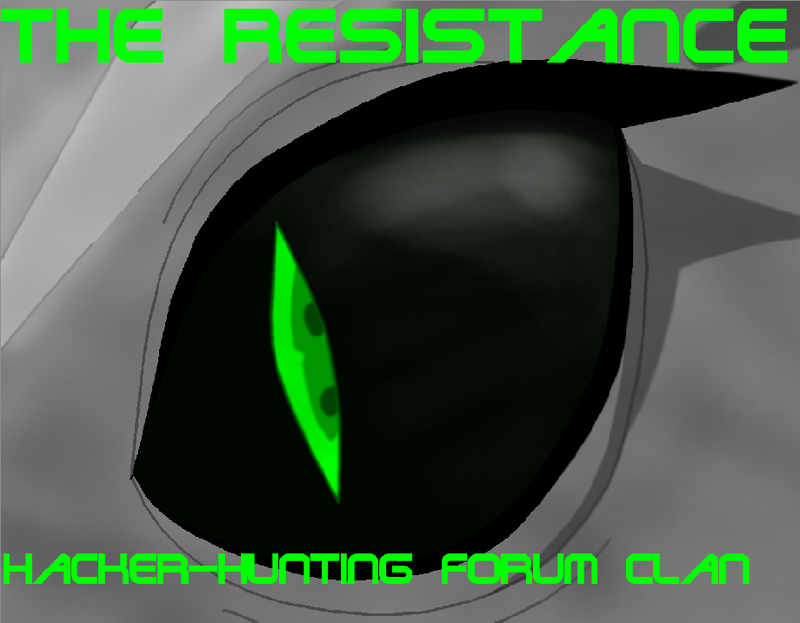 I really have been enjoying the forums so far, and if you'd like to talk to me on anything, you are welcome to! Woo! That was my thread, Bewilderbeast was well ahead. 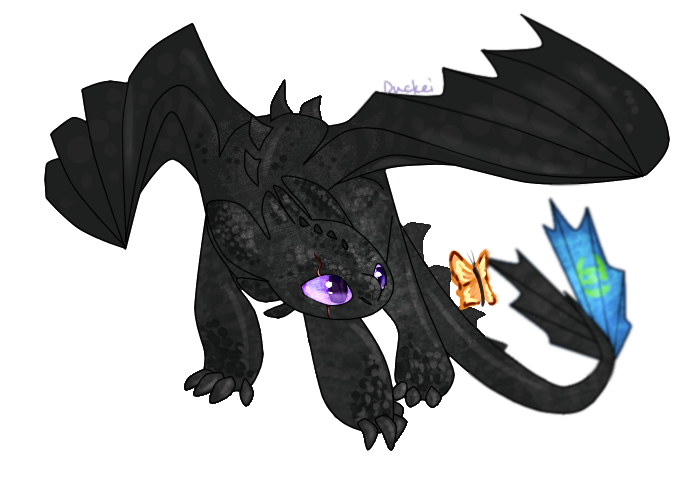 well,toothless was glowing at the last part of the movie.so maybye the eggs can glow blue too?i dont really know,but i bet toothless and that girl night fury will get together and have some babies so we will find out after the movie comes out.i REALLY hope they do get night fury eggs in sod.that way,we dont really need a membership to ride a night fury. "Her soul was too deep to explore by those who always swam in the shallow end." i'll be there by you're side, to blow away the chill. WELCOME TO GRUMPY CATS SIGGY! I promise you'll never be alone. Pearl looked inside & gasped. Sitting there in plain view, was her father's map. Pearl took the yellowed paper in her hands &amp. She scanned it, her grip shaking h . This was it. 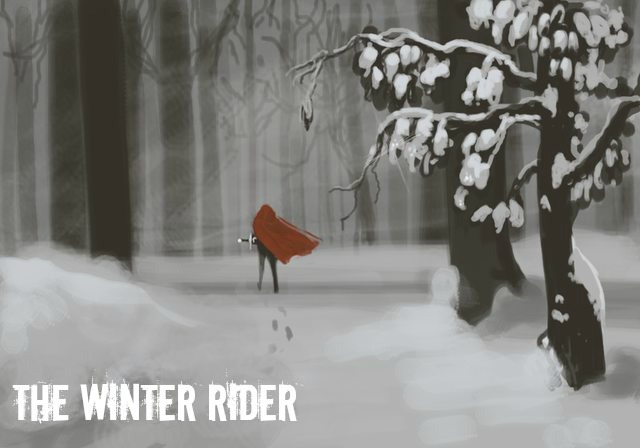 The key to finding the Winter Rider. "It was vicious, relentless, and impossible to see in the white out. The Snow Wraith." 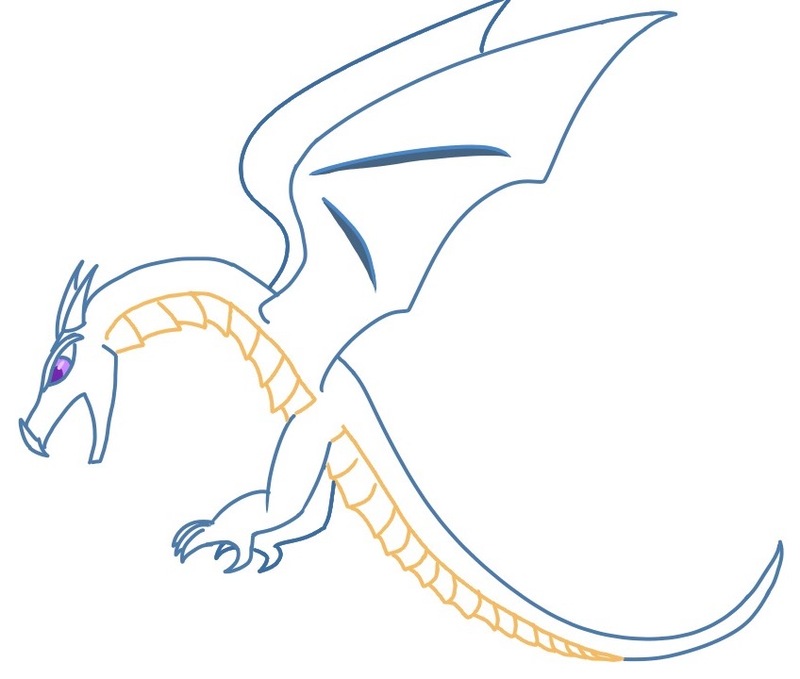 "This dragon has notoriously poor eyesight and uses thermal censors to locate its prey. 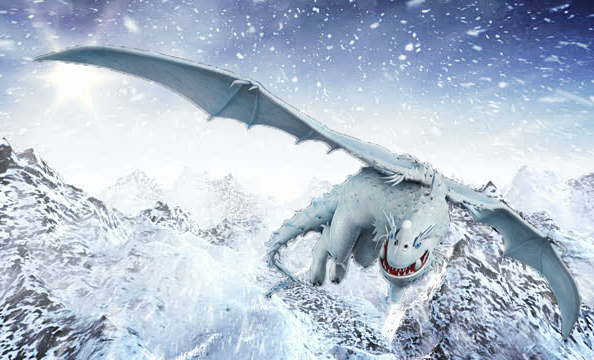 It camouflages itself in the snow because if it can't see you, it doesn't want you to see it!" supremely formidable force to be rekoned with during battle." PROUD MEMBER OF THE RESISTANCE! 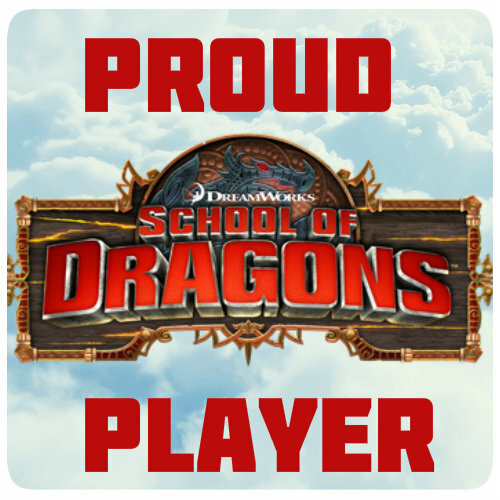 PROUD MEMBER OF THE DRAGON RACERS! 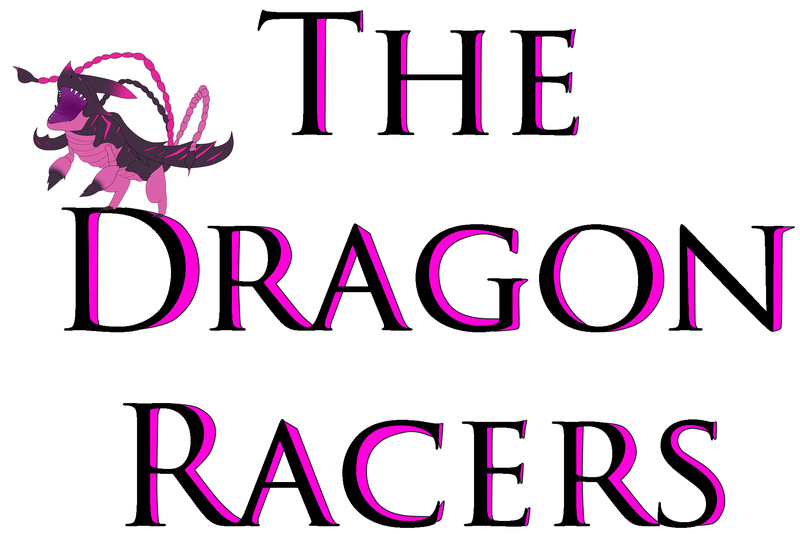 DRAGON RACERS, DRAGON RACERS, OI, OI, OI! If you believe in the real meaning of the rainbow, put this in your siggy through the month of June! #RememberTheRainbowReason! 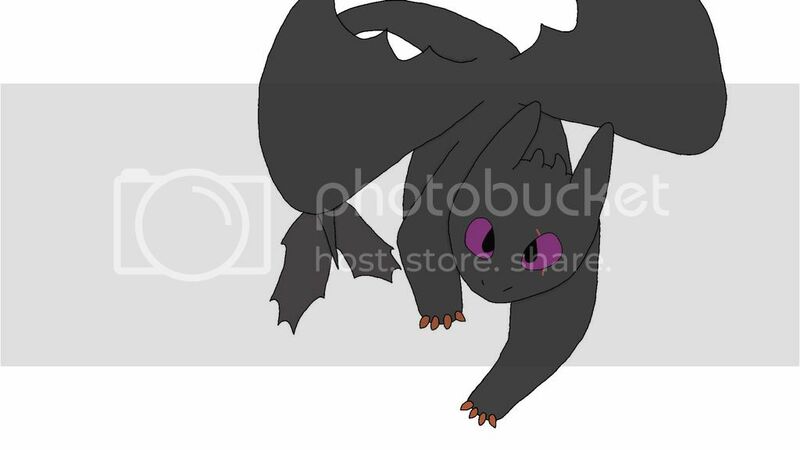 I would love to see a night fury egg. I am guessing we will get one before the 3rd (and final) movie because ALL of the dragons disappear at the end - just like in the books. And since the game follows the movies and tv series - the game will probably close soon after the last movie. I mean you can't have a game about dragons if all the dragons have vanished. The director of the 3rd film has said the story will see "Hiccup and Toothless part ways forever", and all that the opening for the film will have "Hiccup as an old man talking about the days when dragons existed in our world" which is exactly how the 1st book starts. 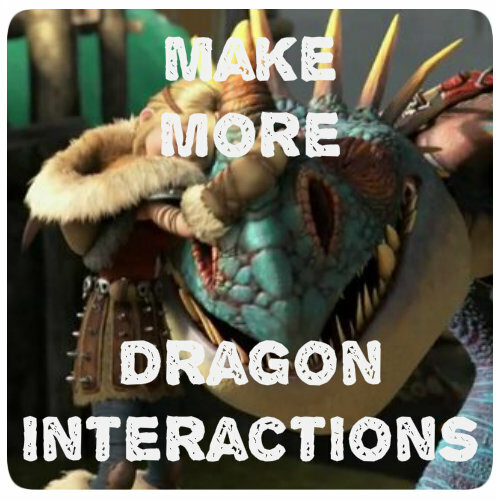 (don't believe me look it - google HTTYD3 plot). Also the director has stated that "Hiccup and Toothless are each chiefs of their own kind, and both must do what is best for their tribes". 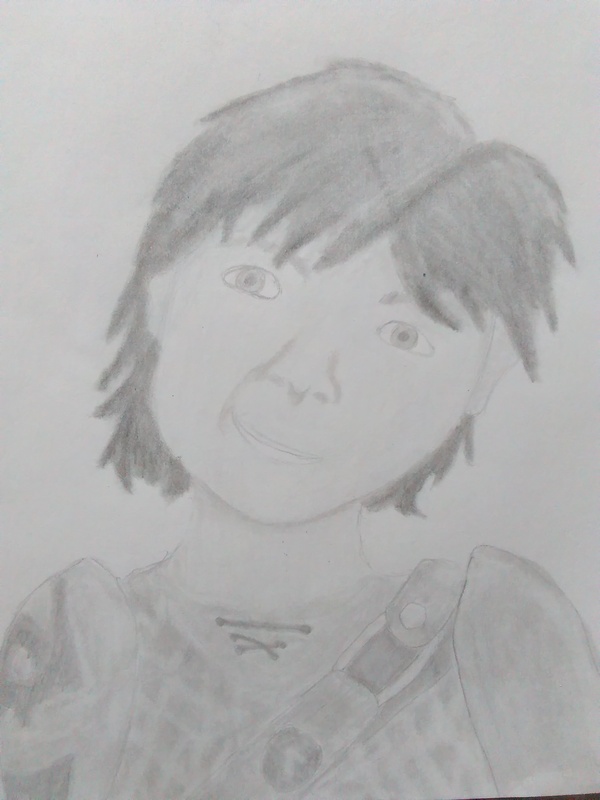 I take that to mean that Alpha Toothless must lead all the dragons away for their own protection, and Hiccup will not go with Toothless because he has to lead his own people through the tough times to come without dragons. Since the last movie is coming July 2018, we still have 2 years of the TV series where we may encounter another Night Fury. As far as pricing goes. 10,000 gems roughly about $100. So no, I doubt that will be the price. 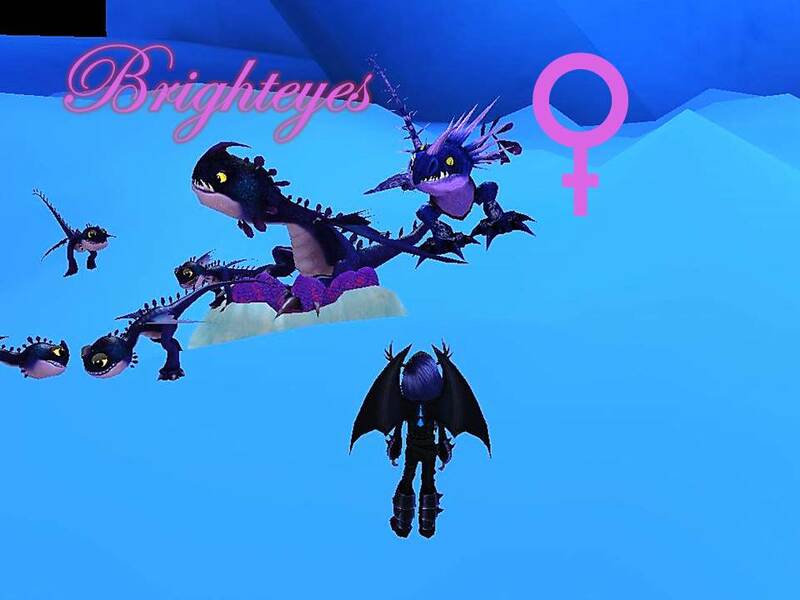 My best guess is the game will do a night fury expansion that will be similarly priced as the others and we will get the Night Fury Egg for free as part of the quest line. Above and beyond that, I am sure they will also sell Night Fury eggs in the store probably the same price as the screaming death egg. 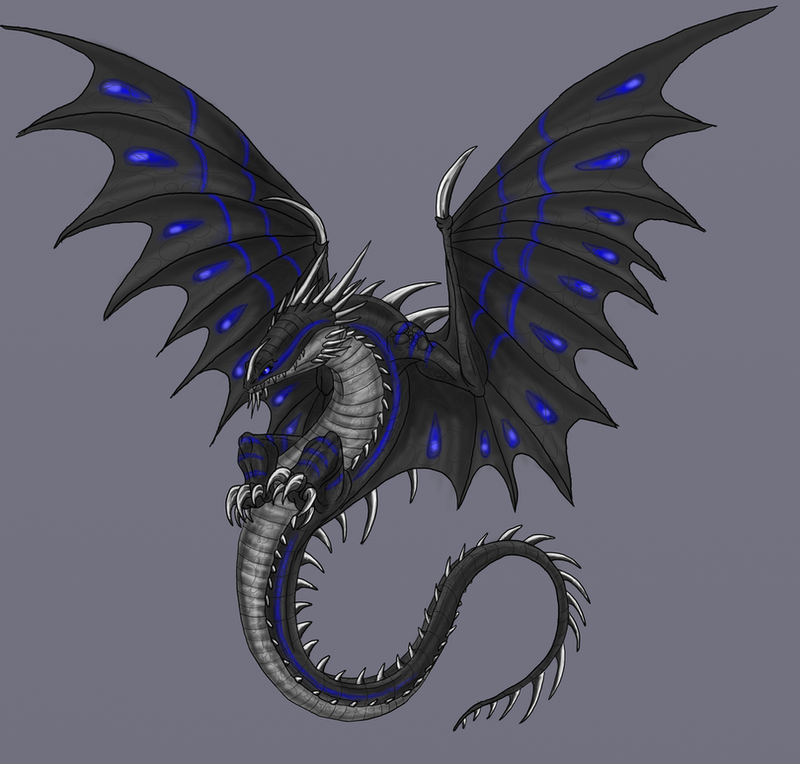 I don't think the makers of the tv series would be that bold enough to retcon the movies and all by putting in the existence of another nightfury before HTTYD3 comes out. Well, my opinion on the events from the end of the most recent expansion -to be continued- with Hiccup saying "This changes - EVERYTHING" (where the text in game emphasized the word everything). The mystery egg glows blue (like alpha toothless), and has rings (like the sonic pulse toothless uses). 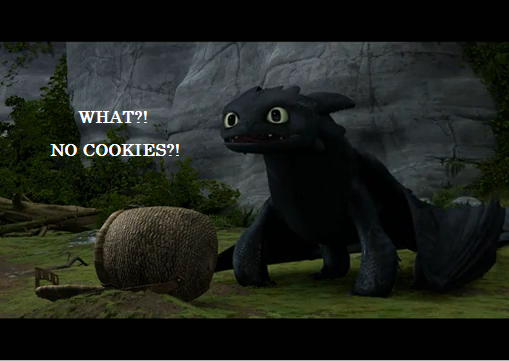 Also, how can that one egg "change everything" that Hiccup knows about dragons? 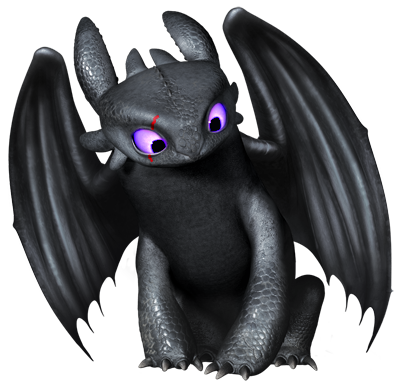 I speculate that if it is a Night Fury egg, that will put Hiccup and Toothless on a search for the parents of the newly hatched baby Night Fury. Which in turn will be the setup for the final movie. Where did all the Night Fury's go? how did they leave? why is there one egg found? 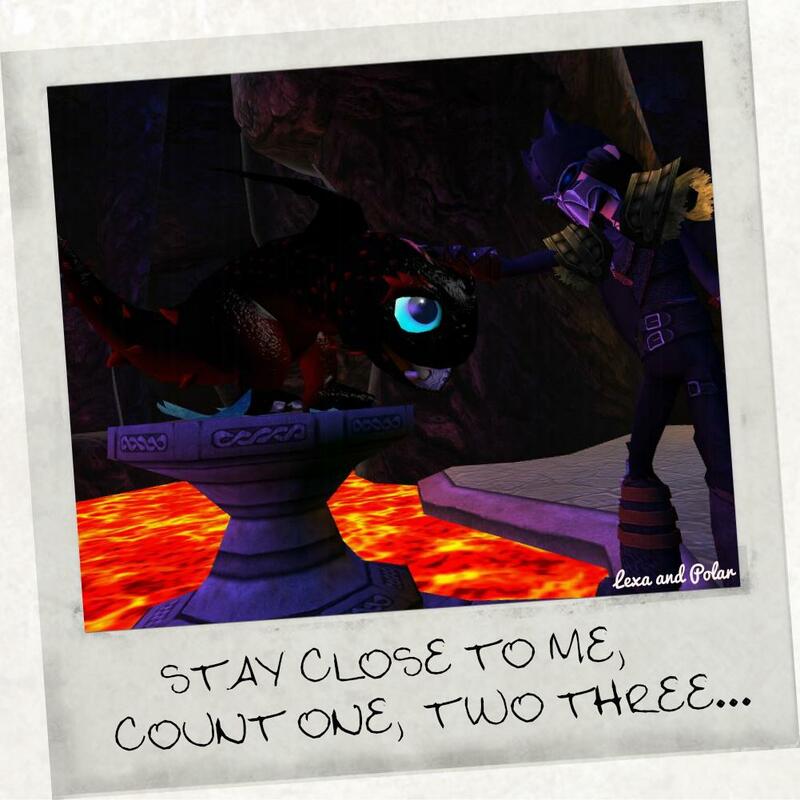 Is this why toothless will take all the other dragons with him to where ever it is the other Night Fury's went? 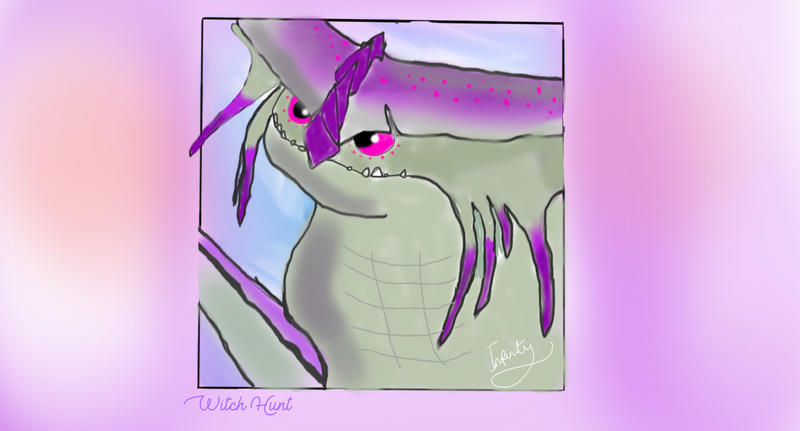 Why is the Night Fury so special? Up until now most of the stuff going on in game and from the tv show have fed off the movies. Now, it seems to be going the other direction. The game is leading us into the third movie, and the tv show I'm sure will reflect that as well. The TV show ended with a "to be continued" as well, stopping at the introduction to the eruptodon. Where as the game gave us one, and followed that up with the mystery egg. So yeah, I think the game is foreshadowing the movie. It is giving us clues before we get into the next chapter of the TV show, which in turn will lead us straight into the final movie. That is what is so great about how DreamWorks decided to deal with the franchise. They have given us deaper insight into the world of HTTYD outside/between the films that keeps the story relevant despite the number of years between each movie's release. Yes the movies are a stand-alone set, but the game/series enhance and expand the world from the movies. 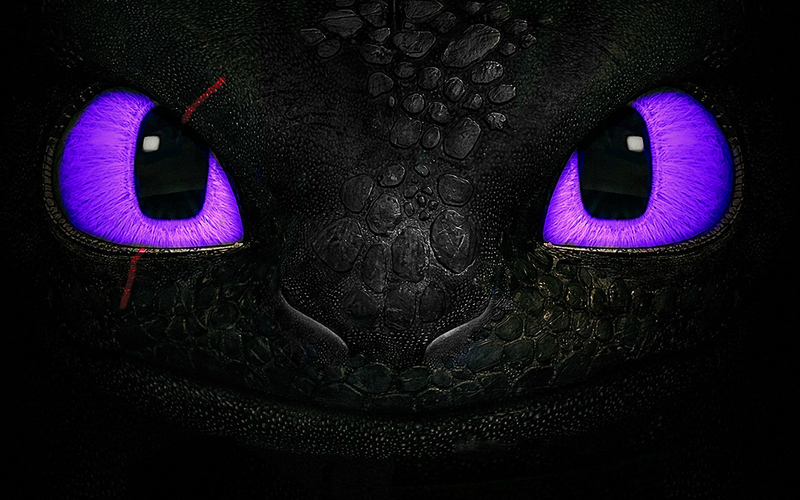 So I believe it is very possible that more Night Fury's will be introduced in the TV show, before the next movie arrives, as well as introduced into the game. You need to remember that there is going to be another jump in time for the final film. A lot will have taken place in the series to get us to that point of "it's ok to say goodbye". 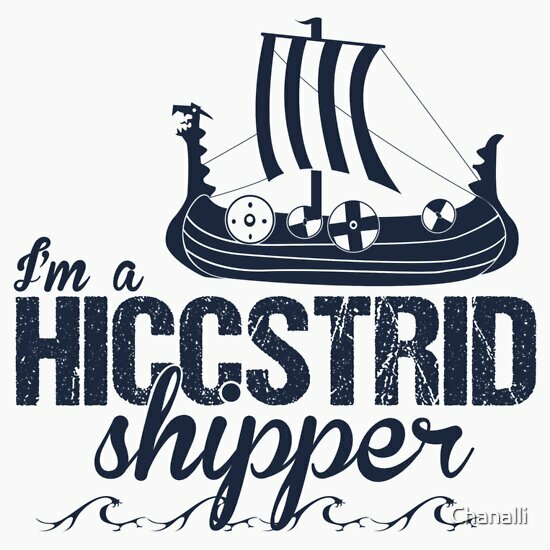 We, the audiance, will need to see that Hiccup and Toothless spent so many years together before they "part ways" to be okay with it when it does happen. We will also see more than one reason why they need to part ways. Those two things alone will be hard to properly encompass in one final film without it leaving us feeling as thought the plot was rushed and the outcome hard to bare. That is why the TV show will need to deal with a lot of the set-up for the final film. 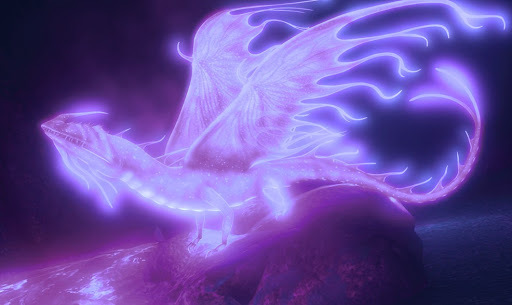 I would be very surprised if the game/series did not have more Night Fury's discovered before the final movie is released. I see what you're getting at, but the evidence really does not lead up to the egg from the game being a nightfury egg. "The mystery egg glows blue (like alpha toothless) and has rings (like the sonic pulse toothless uses)"
Just because alpha Toothless glows blue doesn't mean that the egg has to or will. 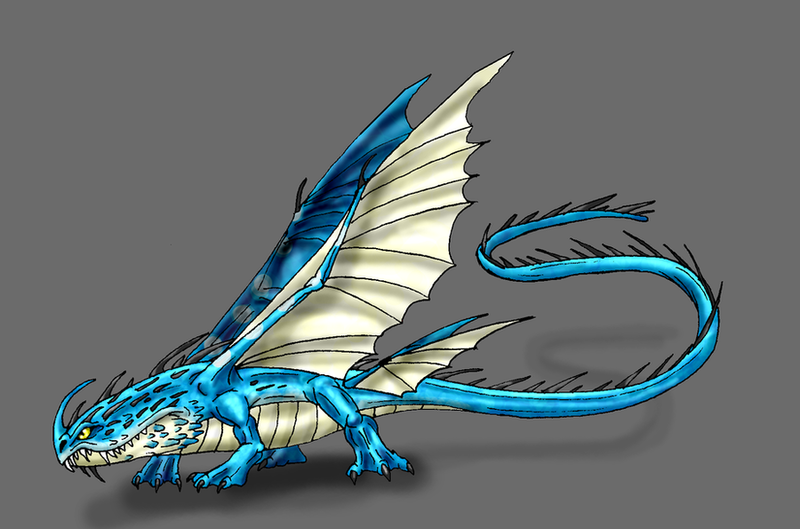 An egg can glow blue and still belong to another species of dragon; it doesn't give proof or credence towards it being a nightfury egg. And to be fair, the egg just seems way too large to be a nightfury egg, nor does it explain why it would just be sitting in the middle of a green death's nest. I've made it somewhat larger for your convenience. Keep in mind that this is (what I can assume) specifically from an extra menu/panel from the MOVIE itself. 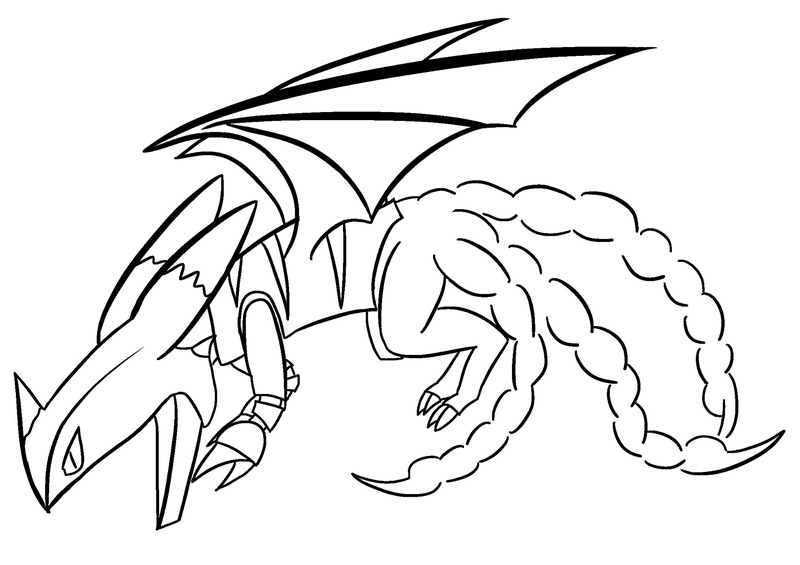 I never said the egg was going to be a Night Fury, just that it is a posibility. 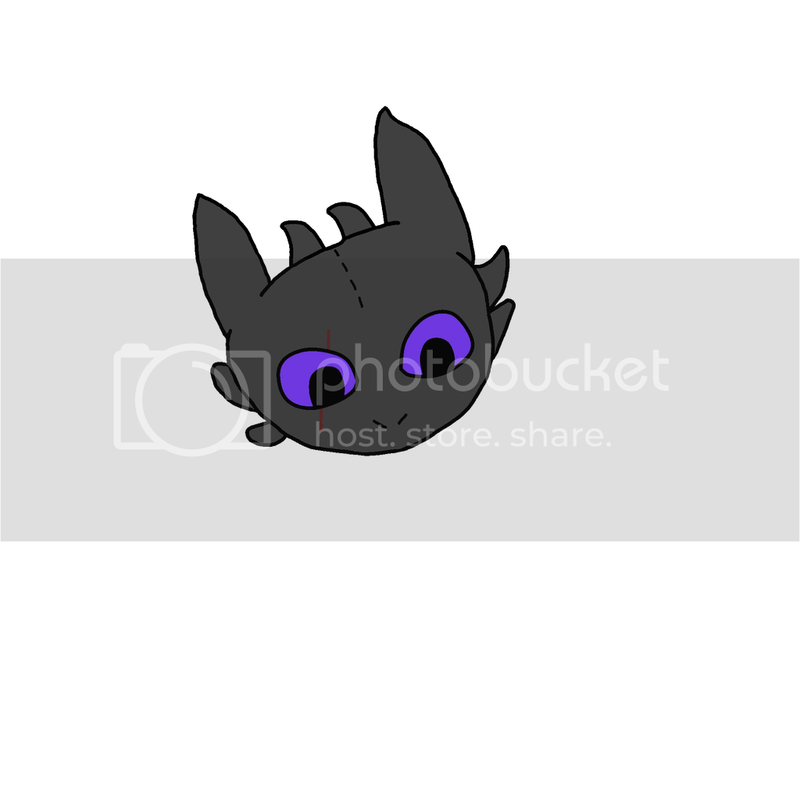 Even if that egg is not a Night Fury, I do still believe that there will be more Night Fury's showing up in the series/game before the movie is released. Thanks for the link (and enlarged photo) of the egg. That photo was for a different game maybe? 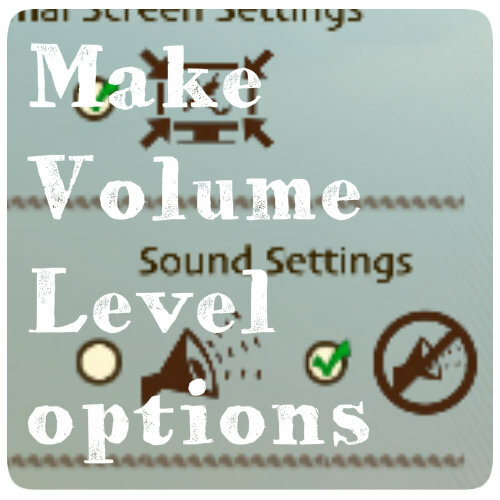 There is another HTTYD game that is more of a "world builder" thing i think. I've never played it, so I am not sure. Yes it is a large and oddly shaped egg. More like a round turtle egg, than a oval-ish chicken type eggs we are used to seeing. As far as it being in the green death nest, that was where harald put it. 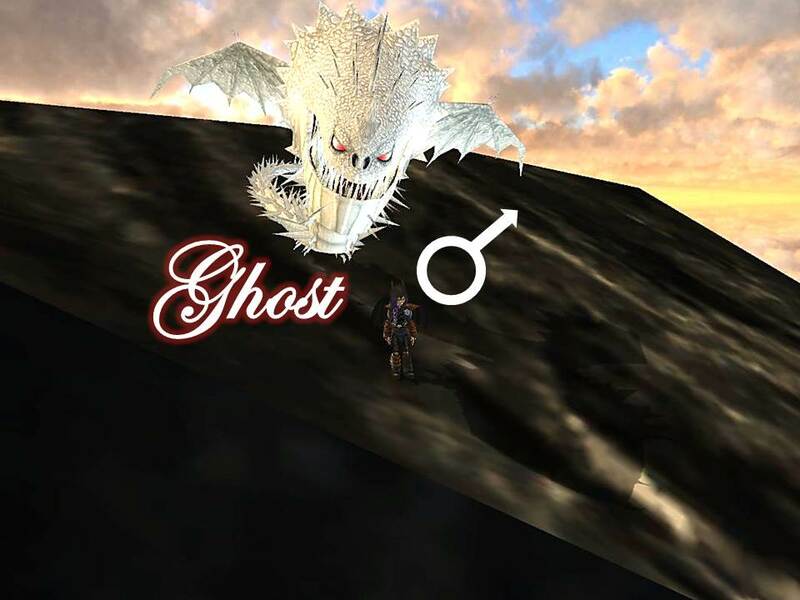 we had seen that egg in several locations prior to it being under the GD's volcano nest. 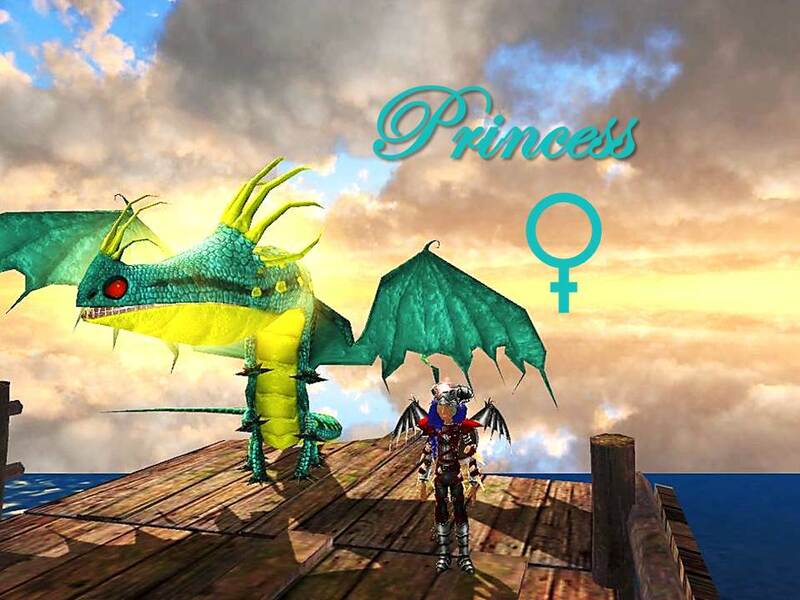 It was on the boat with the Dragon Hunters, it was on hobble grunt island (so says the text from game -though I don't remember seeing it there) it was also locked in a cage at the Dragon Hunter's Hideout prior to us grabbing it in the volcano. 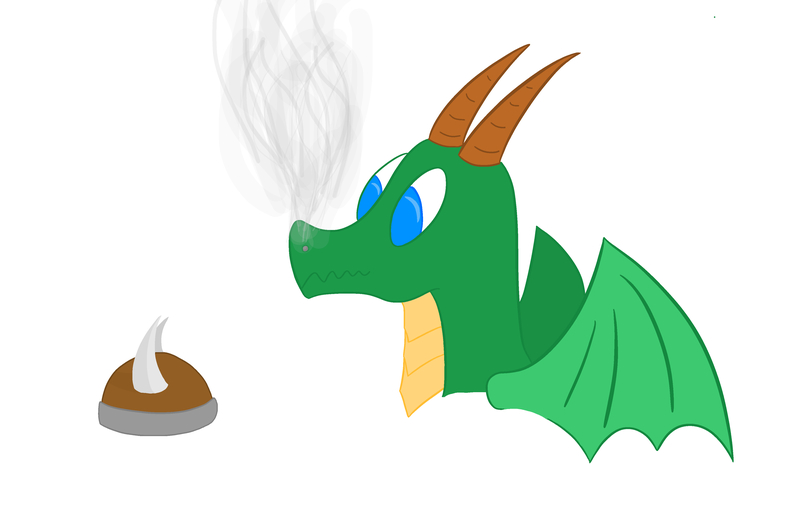 More over, it is very unlikely that any dragon would leave the egg under her nest instead of in her nest. So, I don't belive in anyway that it is a GD egg. Bewilderbeast, maybe? But hatching an Ice Titan egg in Fire seems unlikely. I could speculate far beyond what others have and say that the dragon egg is a yet unknown species of interdimentional dragons. that could account for the odd shape. it could also be the reason why there are no more dragons left at the end of the story. 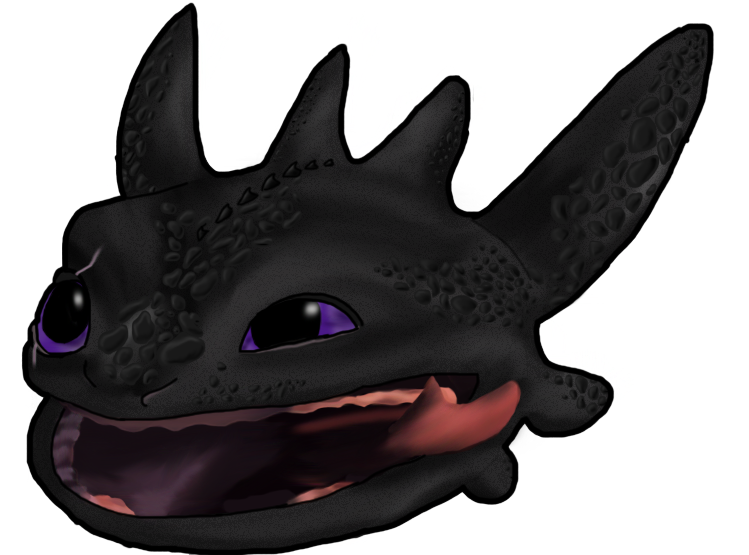 Toothless befriends the dimension hoping dragon baby and tags along to the other universe to help the baby find it's family. 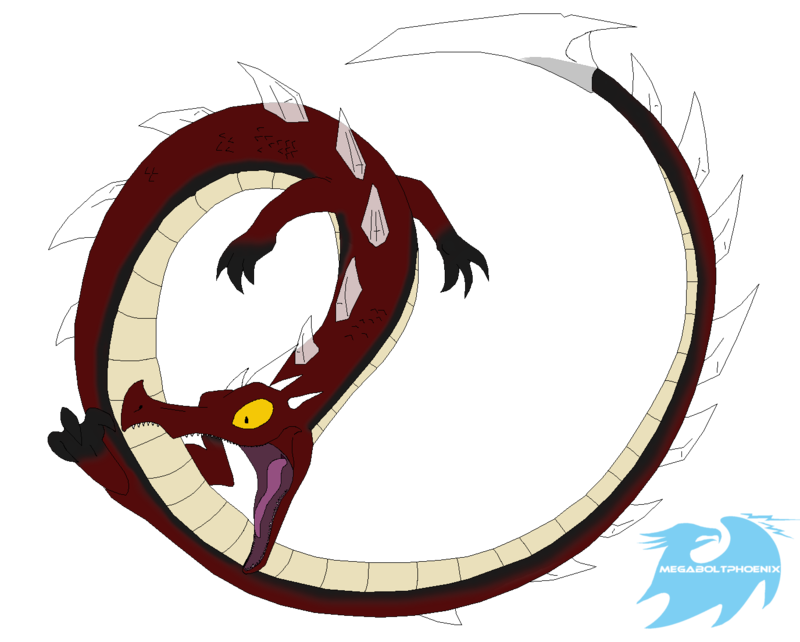 then after the dragon/human war from movie 3, decides to take all the dragons to this other dimension/universe. 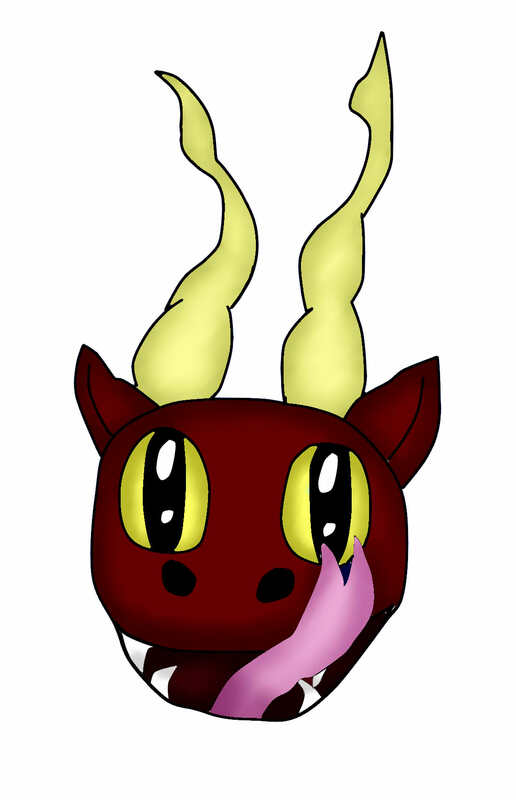 This universe might have lesser gravity than our earth, so that toothless could hop and glide without needing Hiccup to manuver his tail.Or, maybe toothless dies trying to get all the other dragons to this other dimension. And he really was the last of his kind. We wont know for sure until more of the story is revealed in the next expansion of the game. So, what, maybe 6-9 months until another expansion is released. My guess it the next expansion will pick up where the last left off, at the hatched egg. As for nightfuries appearing in the show? I'm not exactly sure how I would feel about that. I've said it before and I'll say it before: The TV series is not canon to me and never will be, but I'm assuming that if they make another HTTYD tv series (much like the defenders of berk and RTTE), this one however will take place before the events of HTTYD3 and if they decide to introduce nightfuries before their time? Well. 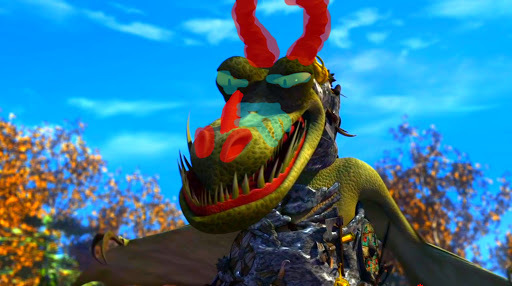 Who knows, maybe there won't be another NF in the movies given the possible plot of all dragons leaving Berk. Maybe the 3rd movie will just focus on that instead of the possibility of another NF in the archipelago. I know that whatever they do, the movies have to be a stand-alone thing, and that the TV series is completely different and whatever they do is seperate. I would consider RTTE an alternate universe at best. I highly doubt that they'd make a move like putting another nightfury in there (since so many fans would go crazy) but that's just me. The series doesn't exactly follow canon isn't really consistant and neither is SoD. Well, I'll just leave that image there for anyone who's still skeptical on what a NF egg looks like. That being said, if it is a new type of dragon I am definitely interested. Hmmm... the theory that the hatchling coming from the egg is interdimentional species of dragon sounds really far-fetched. I know it's HTTYD where dragons can channel lightning and gronckles spit lava, but still... 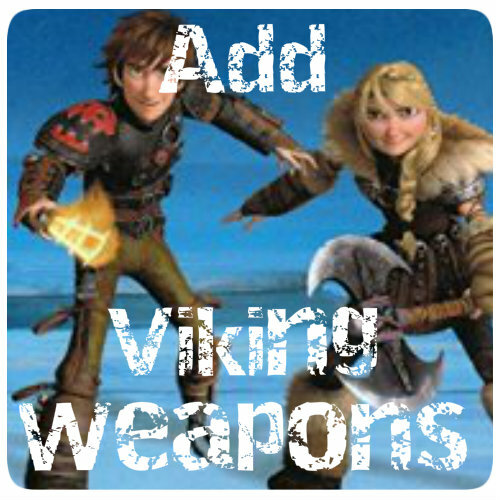 In a setting based around historical vikings (the HTTYD franchise isn't really accurate when it comes to vikings but still) It'd be really unorthodox. Everyone seems to be forgetting that the egg was first seen in the dragon hunter's camp during the Battle for the Edge expansion. Harald stole it when he did a runner at the end of that expansion. Harald then presumably took it to Dragon Island, and my guess is he was trying to hatch it in the lava and woke up the Green Death. The whole toxic gas thing is probably his fault. 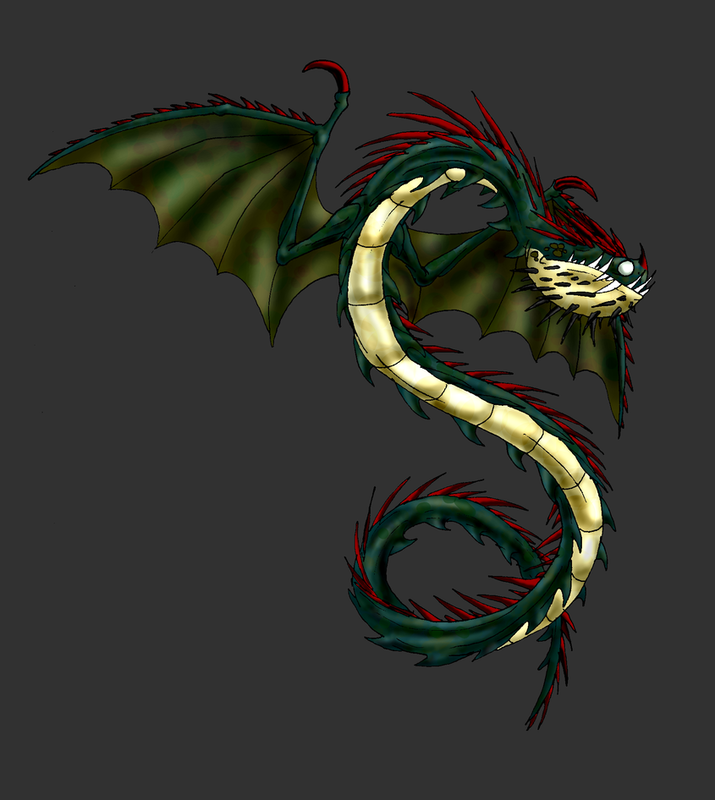 Now, who is the ultimate leader of the dragon hunters? 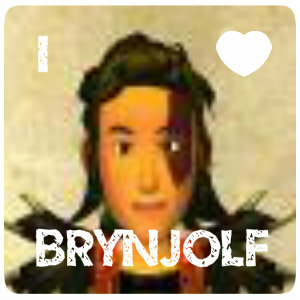 Everyone who has seen HTTYD2 knows the answer to this - its Drago Bludvist. 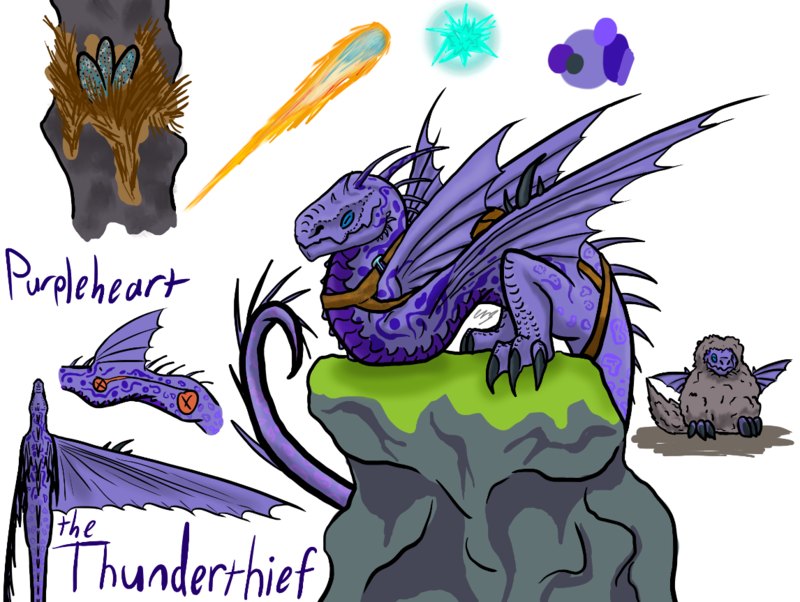 A character who many people have noted happens to wear a cape with a rather familar dark texture, which might just explain how the dragon hunters may happen to have a night fury egg. 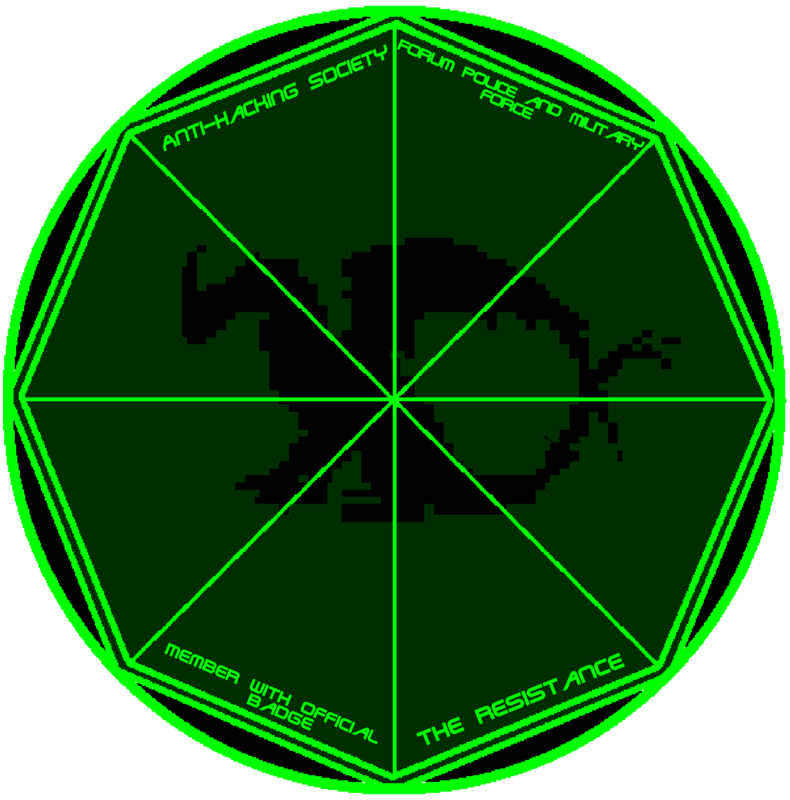 Edit/correction: in fact the first time we saw the egg is when the dragon hunters took it from Hobblegrunt island at the start of the BftE expansion. I'd love to see Night Furies where we can customize the colors, name them, and all that fun stuff, but it wouldn't make sense. 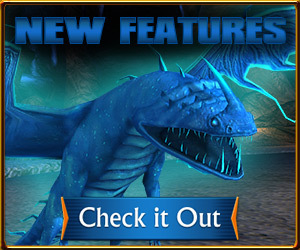 We already have Toothless for membership, and if the Night Fury eggs cost gems? That doesn't make any sense, you wouldn't have to buy a membership to get your own Night Fury (Seriously, you can buy 1,000+ gems for 10 dollars). 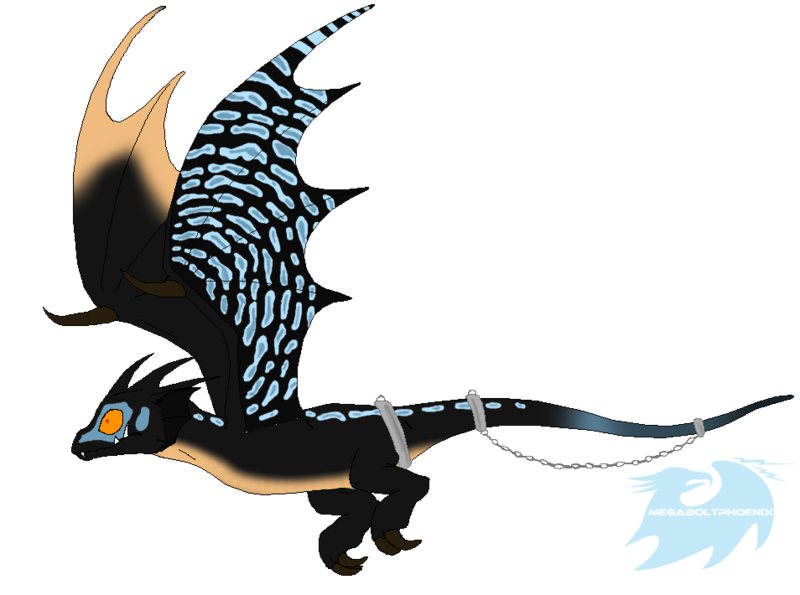 Plus, many already have Toothless and may rather have their own Night Fury instead of a Night Fury (Toothless) that's owned by Hiccup. There could be more possibilities on what Night Furys will cost either way, but it's unlikely that they will add them anytime soon. I no longer play the game, if you are interested in speaking to me, add me on Discord! Think of it, as some people mentioned about the egg, I also doubt it's a night fury, because, as you may know, it was featured in Battle for the Edge expansion near the end, where you sneak into the hunters' base, right? Afterwards, it appeared in the Green Death's nest. What was it doing there? Could the egg have been a Green Death egg that was stolen by the dragon hunters? 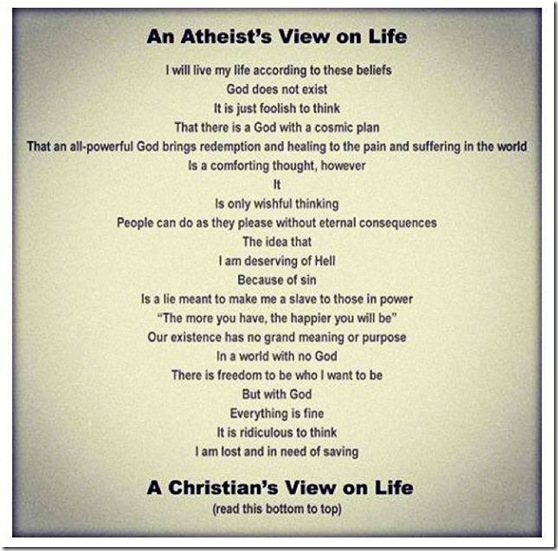 I try to make sense of that. If it's not that, I'd go with the Bewilderbeast. It's twice the size of Green Death, plus the egg is too big. If you replied to my post in a topic and it's important, please PM me the name of the topic! It's a security check if I haven't noticed it. 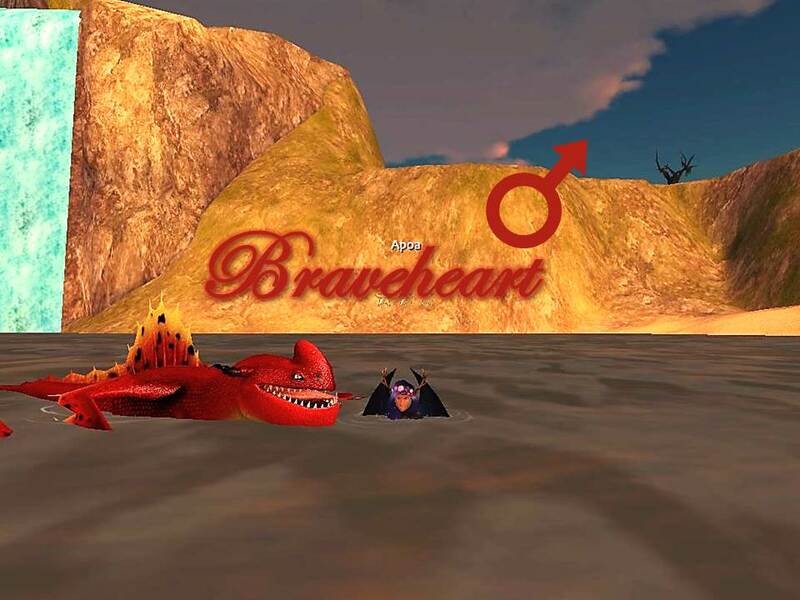 Now Why would The HTTYD Franchise make a bold move as to close a game that has made them money the way it has since the game first open, It would most likley be an expansion pack and I think the game will stay open but there will be no updates (Hopefully) I mean it would be kinda bold and a hard descision to make for a game like this, especially with YouTubers who game on this which has also helped this game grow in populatiry and players it would be pointsles to close it, also think off all the money both sides would lose the game since nobody would buy anything in-game for rhem and the user since they spent maybe A LOT of money on this game buying dragons, expansion etc.. It would be a dumb choice for them to close it, I hope this brighted up some people and I would love to have a fury without having "Toothless"with Membership. I have more but theres a lot that I dont remember, updated regularly! 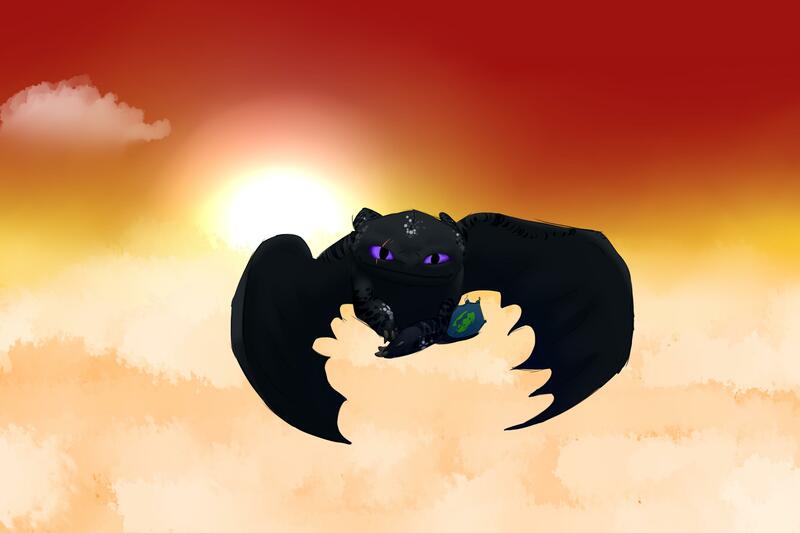 Because I am an Atheist, DONT CRITIZIE ME OR FORCE ME TO BELIVE IN "GOD"
If they ever had Night Fury eggs, they'd be most likely be sold with gems, but the downs of the hypothesis is that people will make new accounts, earn gems with invites and get it without spending a drop of money. 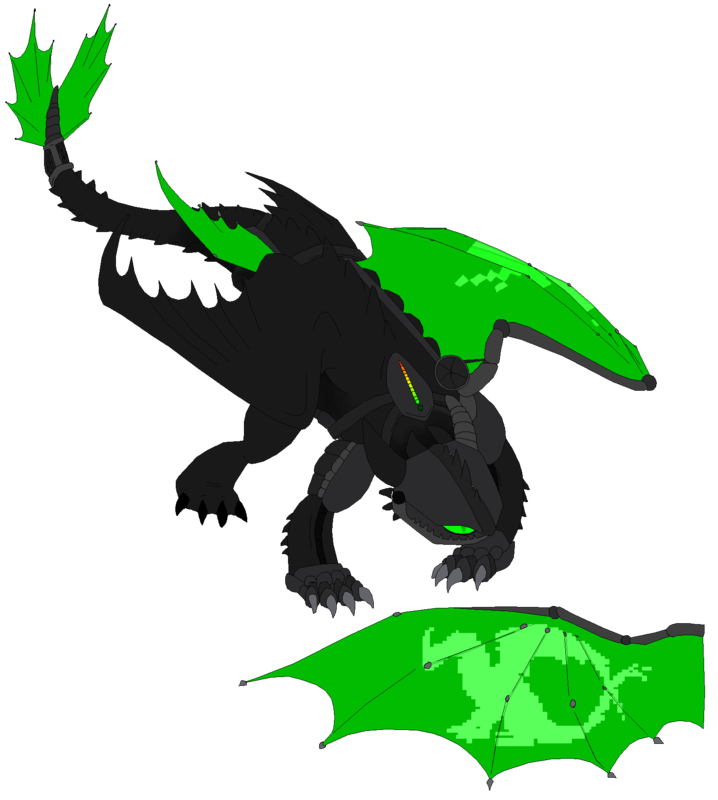 Then we'll all be like: "What's the point of buying a membership for Toothless, when you can get a normal Night Fury with gems?". This will make the game lose money and possibly close it down. Plus it's not confirmed if there's going to be more than 1 Night Fury, and like said, the game follows the Movie's path. If they do something that's NOT been featured in the movie, it'd not make sense at all, I bet. actually odds are that they would make them member exclusive, why wouldn't they? He hates his rider and almost ate him. Yes, we are coming at you, hackers! 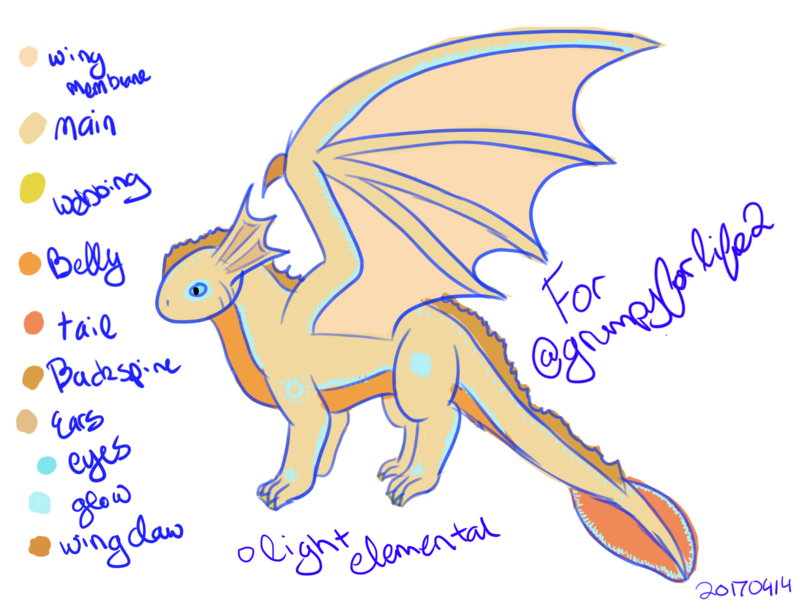 While I'd love to have my Pitch as two plushies, two books, two websites, AND School Of Dragons, it seems very... illogical for the franchise. 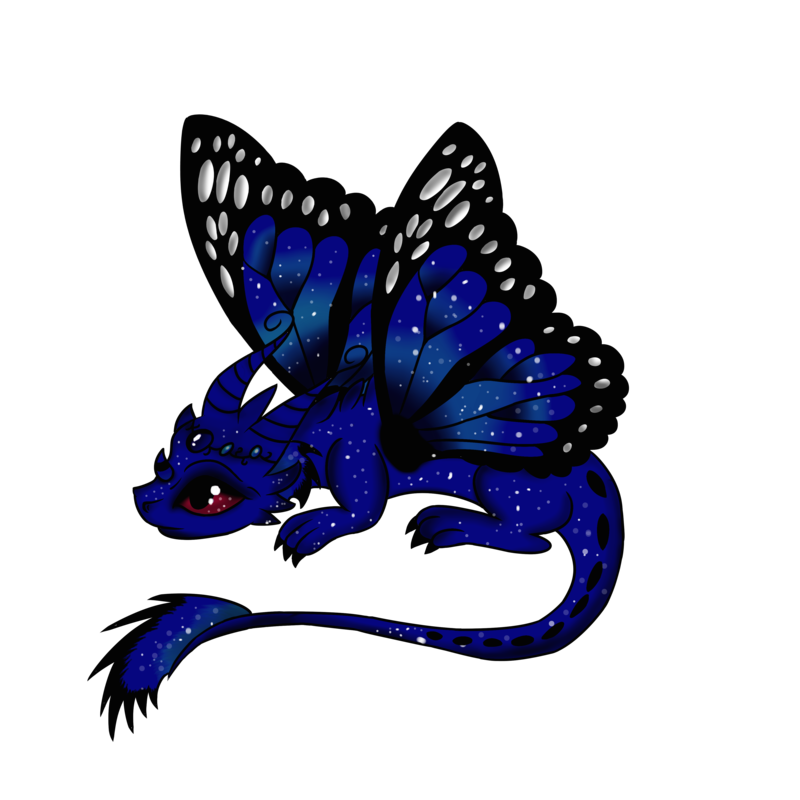 Night Furies are super rare, and if everyone had one, it would defeat the purpose. BUT. It would be great to see Night Furies instead of Toothless Clones. Yeah. I really hope they remove Toothless. 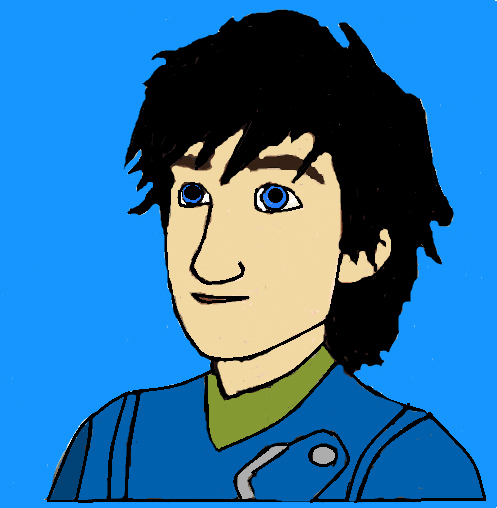 He's Hiccup's. 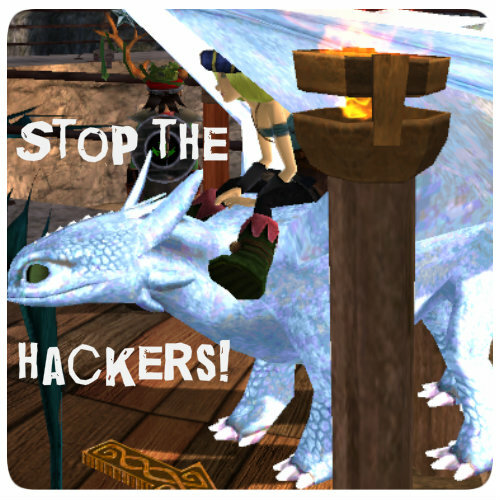 The Devs and Admins can just replace the Toothless that some of us, members before the October update and current members with their own Night Fury. I'm crossing my fingers! No offense guys, but I really don't see the point in all this guessing about what the egg is going to be. I'm just going to wait and see. 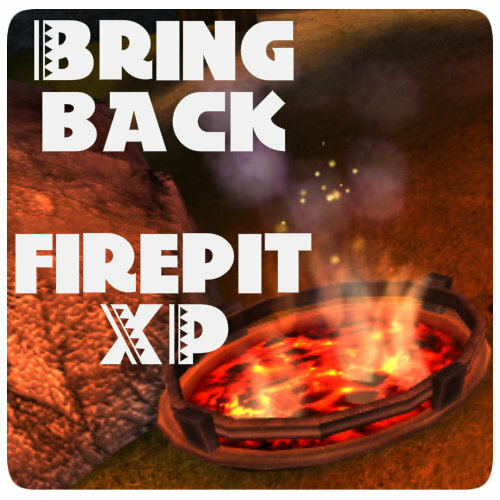 I'd say the next expansion will arrive on the 8th of January, when the next RTTE comes out, like when Return to Dragon Island was released on the same day that the season was. And I really do hope it does, because it's my birthday on the 7th of January. But anyway, the egg could be anything. It could be a Night Fury, a Green Death, anything, and there's no way we'll know for sure until the next expansion arrives. But that's just my opinion. AMAZINGLY AWESOME drawing of Lexa by Scalecakes! PM me details and a pic of your OC or anything you want drawn, and get it drawn by me. HERE, HERE, and HERE are examples of my art. ​​This is my Fluffy Sun Lover adoptable, Little Miss Starshine, by the jaw-dropping Witcherforever! (Left) My Signature Protector adoptable, Oaken, by the amazing Witcherforever! (Right) My other signature protector, Bones, by Werewolfgirl1253! They protect my signature and everything in it, so BEWARE! Freya, Lexa, Lancelot. By the AMAZING Vanilia Viking!!! These are the updated, more Viking-like versions of them. Former versions can be found below. (Left) Lexa in Valka's armour (red version) by the crazily talented TosiLohi! 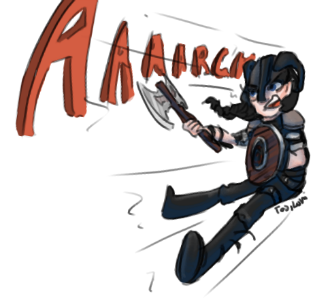 (Right) Lexa by the marvelous AllyNadderRider! (Left) AMAZING drawing of my OC Lancelot Edorian by the fantastic Vanilia Viking! (Right) Just as amazing drawing of my main OC, Lezia Lexa Larkin by Vanilia Viking! Thanks! (Left) And amazing headshot of Lancelot Edorian by Georginia47 (aka Geo)! 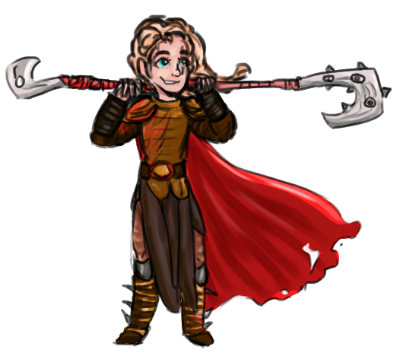 (Right) Awesome drawing of Lexa in Valka's armor (red version) with her blonde hair (her original color) by ​Vanilia Viking! (Left) By the amazing Vanilia Viking! It's amazing! 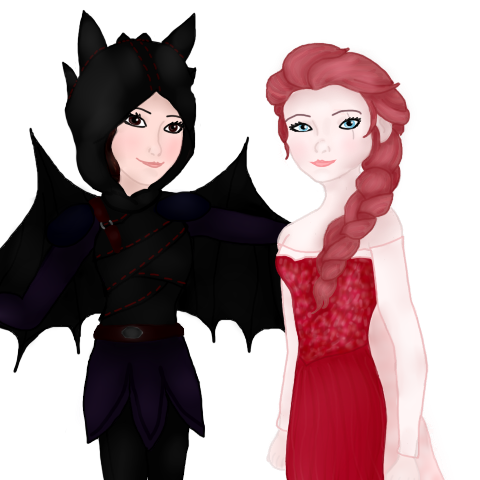 (Right) Lexa and my BFF, Rhaeyne (Vanilia Viking) by Aisha Snowqueen! (Left) Edit by the WONDERFUL Nessie! (Right) Lexa by the almost too good to be true Pixel! 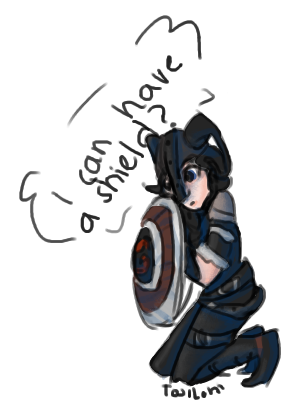 (Left) Amazing drawing of Lexa in Valka's armor (red version) by Aelyras! 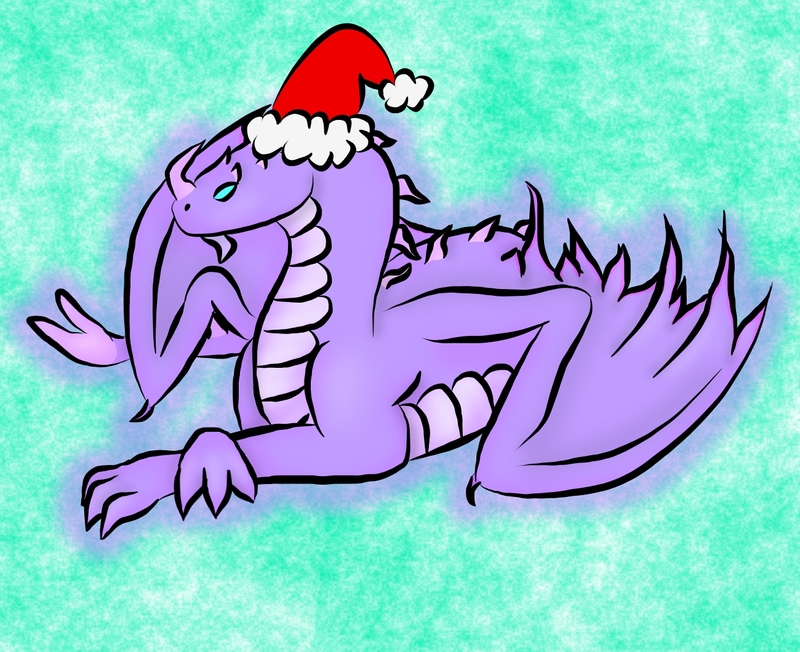 (Right) Amazing Chrismas pic of LezLexa by Frytha! (Left) Amazing drawing of Lexa by the o-so-talented Fireflash! (Right) By the amazing Mangopopcorn! My OC Lexa and my friend, Vanilia Viking by me! 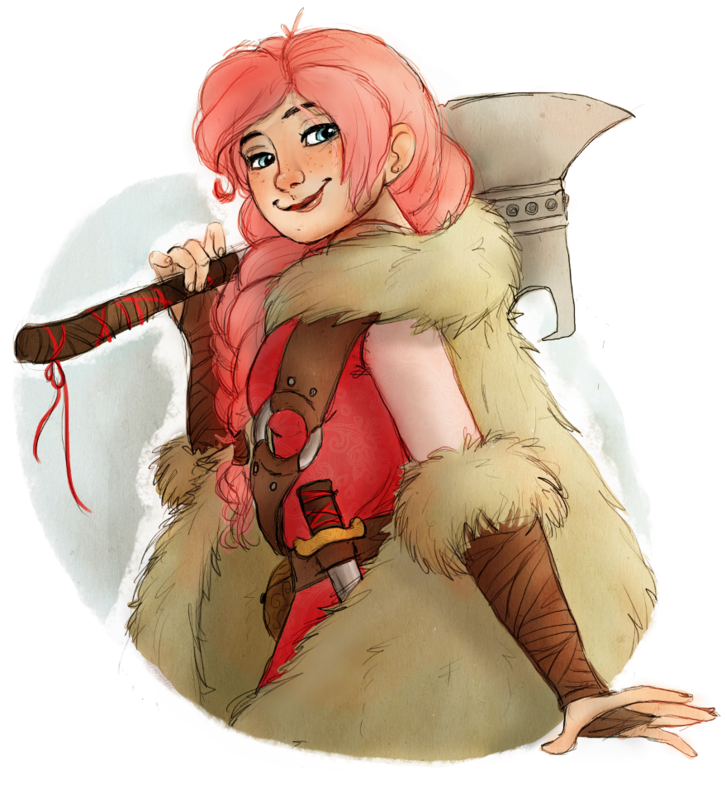 LezLexa, my Viking by TosiLohi! Lexa by Archery and Dragons! Adorably cute drawing of Starblue given to me for Secret Santa by the amazing Vanilia Viking! (Left) Starblue by the fantasticly talented Duckei! (Right) Starblue being silly by Alicornbrodie! Isn't this just so cute? A birthday present from Aelyras! Thanks so much! 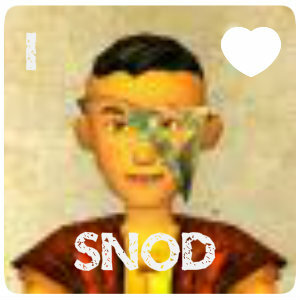 I <3 It! 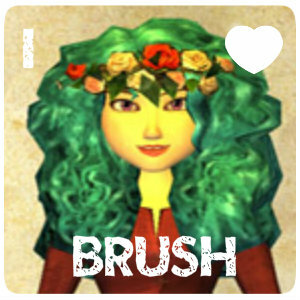 Above are adorable edits of Starblue by the ridiculously talented Georginia47! (Left) Amazing blinkie by no other than the best blinkie maker Nessie! (Right) Cute headshot of Starblue by Nessie! 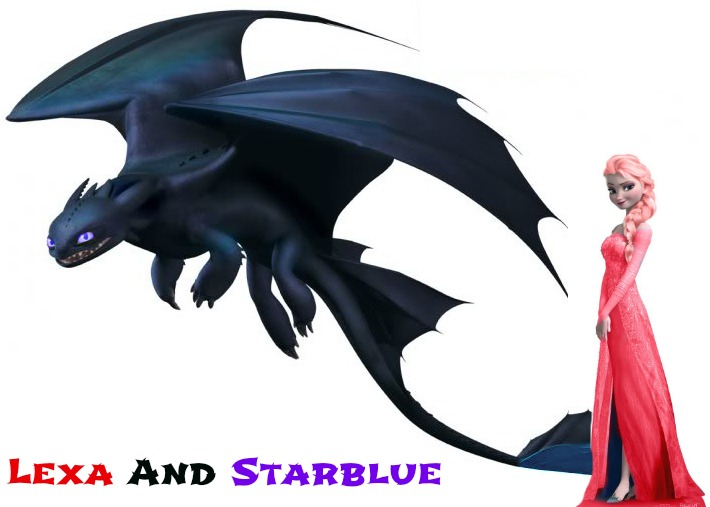 (Left) Edit of Starblue by the spectacular Archery and Dragons! (Right) Cute edit of Starblue by amazing Aelyras! Amazing blinkie of Starblue by ​DatOneTrumpet​! Both of the above drawings of Starblue by ​DatOneTrumpet​! TYSM! 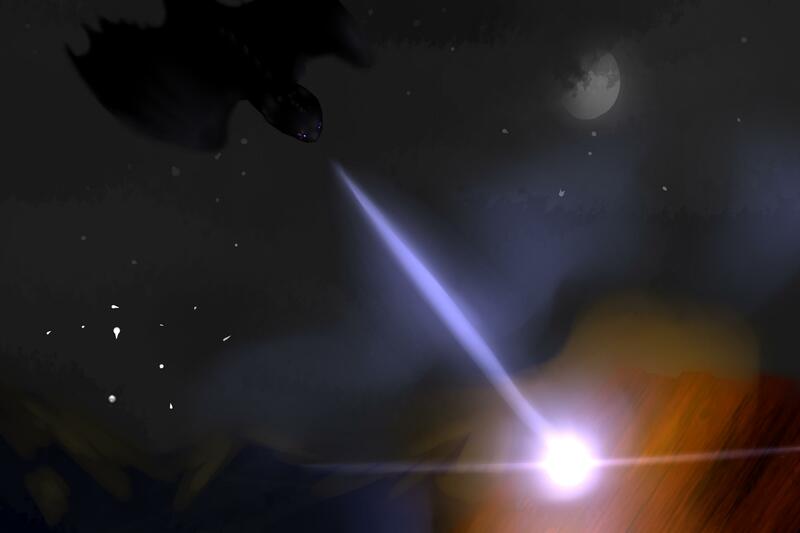 (Left) Awe-inspiring gif of Starblue by Laykary! (Right) Wonderful eye edit of Starblue by the talented Ruggedturf! Both above by Lovlytigerss! Thank you so much! (Left) By the awesome Georginia47! Thanks! (Right) By nightfuryatom4! Thanks! 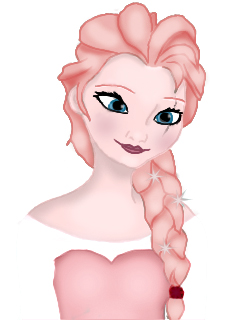 (Left) Also by Georginia47! Thanks! (Right) By the talented Laykary (aka Lake) Thanks! Both of the above by the amazing and always kind LunarPride!! Renzo and Lexa by the AMAZING Feenix the Fire! Thanks so much! 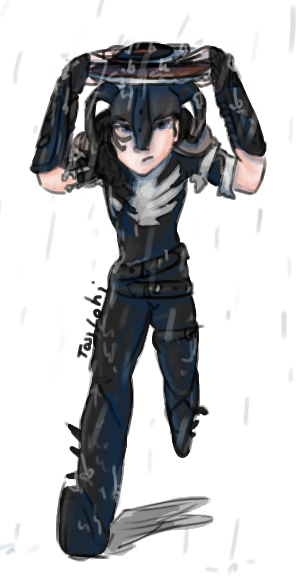 AMAZING Polarstar drawing by Scarfywings! Lexa and Polarstar by me. 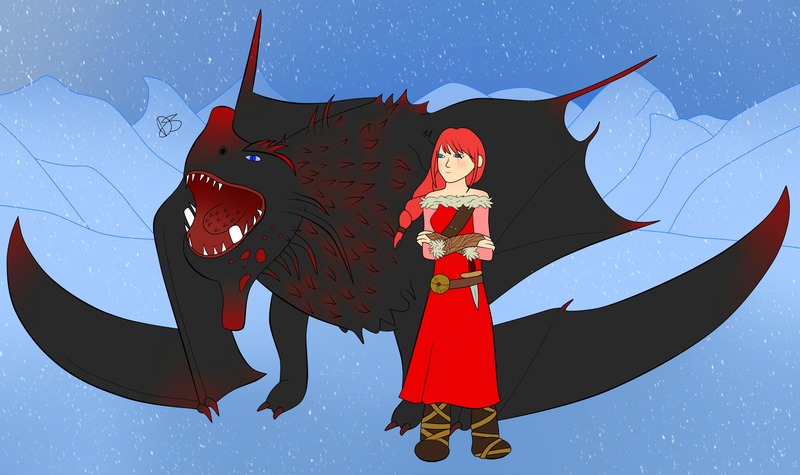 LezLexa and baby Polarstar by the beyond talented Vanilia Viking! Left, Polarstar by grumpyforlife2! Thanks! Right, by dogloven! Left, adorable drawing of my baby Woolly Howl, Leah, and right, chibi Armorwing, Hungarian, both by Vanilia Viking! (Left) By the AMAZING Frytha! TYSM! (Right) AMAZING drawing of Lexa's sister, Freya, but Autumn5467! (Left) My OC, Lexa, with her NF Starblue. By me. (Right) Lexa and Starblue by the talented Georgina47! TY! 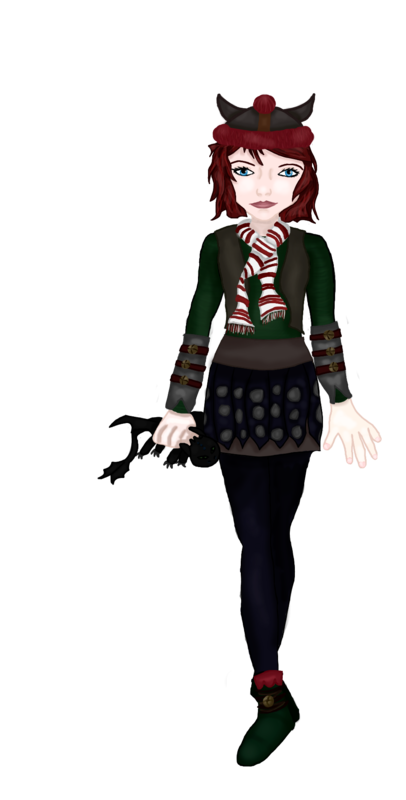 My OC, Sy (short for Sheldon Yoko) by Flowercrystal! Thanks! 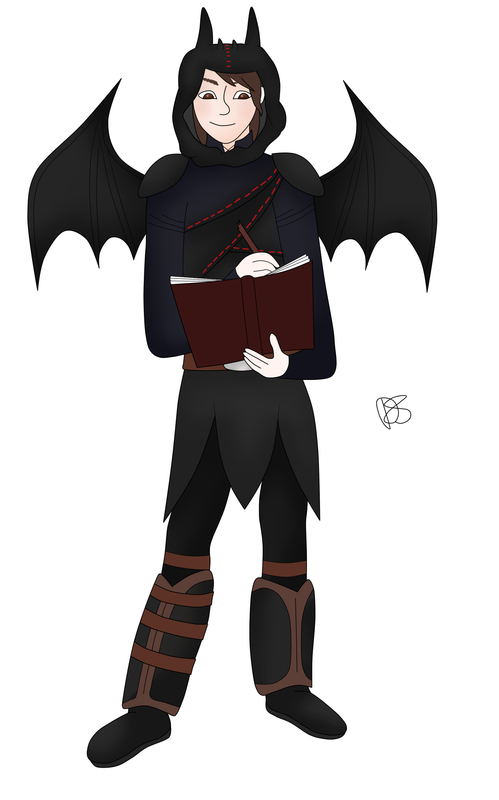 Hungarian chibi by the amazing FloofQueen! Thanks! 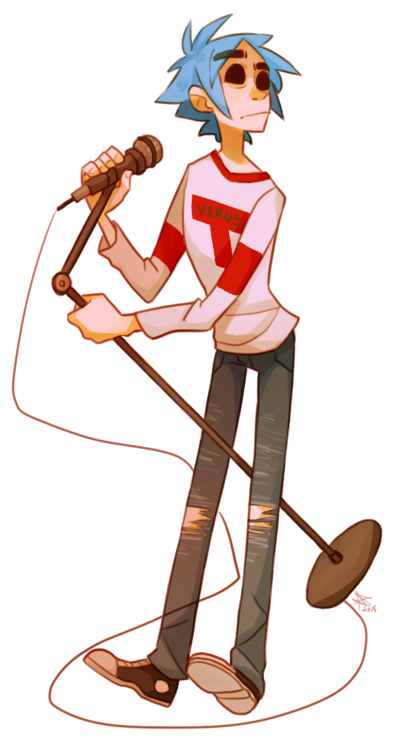 Freaking more-than-amazing drawing of Sy by the talented, artistic Ruggedturf! TYSM! (Left) Fleetfoot by Archery and Dragons! (Right) Hungarian my OC by Flowercrystal! Hungarian, Renzo, Fleetfoot. Bases by MegaboltPhoenix! (Left) Very cute pic of Renzo & Lexa by Laykary! 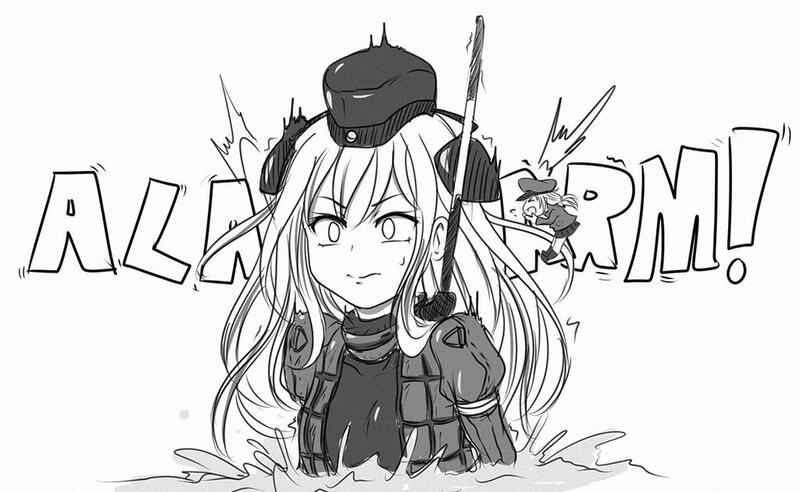 (Right) Cool drawing of Hungarian by Archery and Dragons! 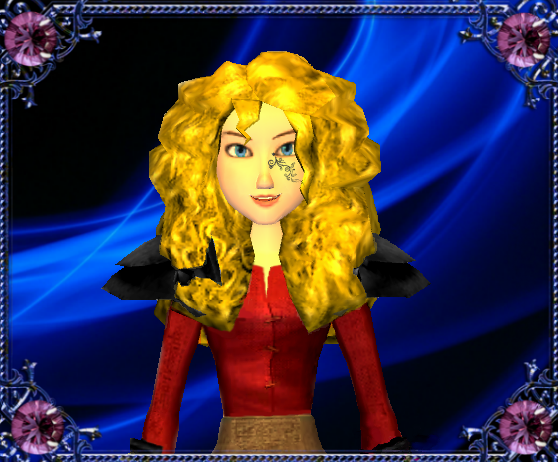 A happy birthday gift from Vanilia Viking, of Lexa, Lancelot, and Rhaeyne (Vanilia Viking)! TYSM! 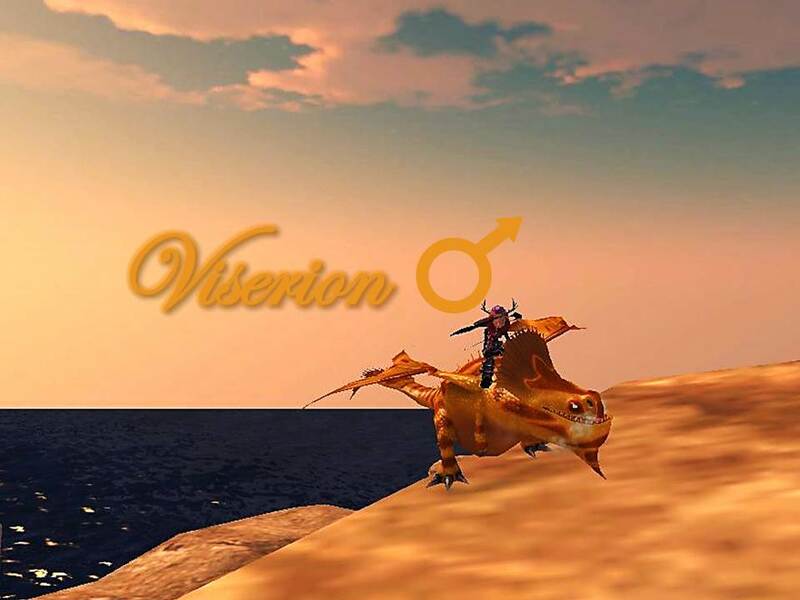 ​In game SW, Lozeno, by Stiger23! Proud member of The Resistance! 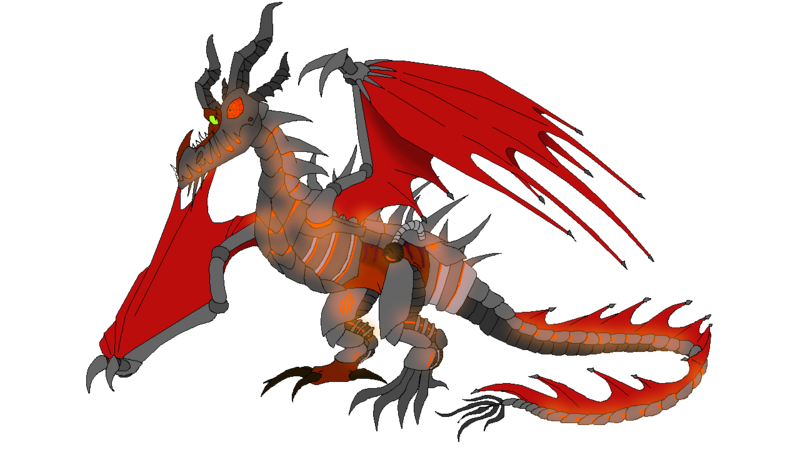 Below is my cyber dragon, Firest, by Megaboltphoenix. Cyber Ability: Creates walls of fire coming from any direction or all directions. ​He has a video game made by Megaboltphoenix, which can be found HERE. (Left) My Splinterhorn, Splinterhound by Flowercrystal! 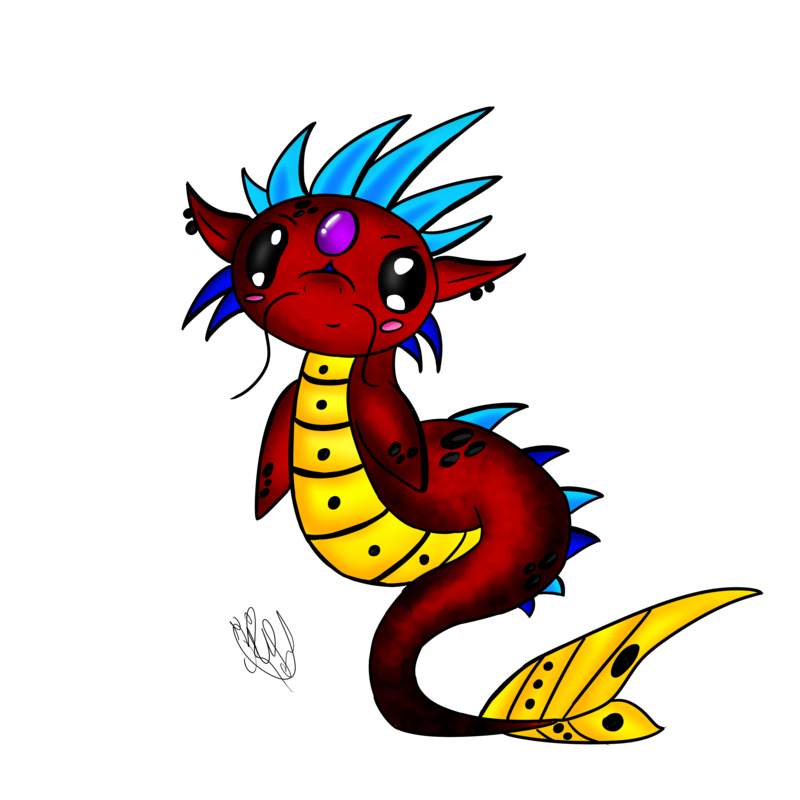 (Right) My Seaspike, Kebab, by Werewolfgirl1235! (Left) Vanilia my Rocky Mountain Davus by MegaboltPhoenix! (Right) Lez the Whirlpool by DatOneTrumpet! 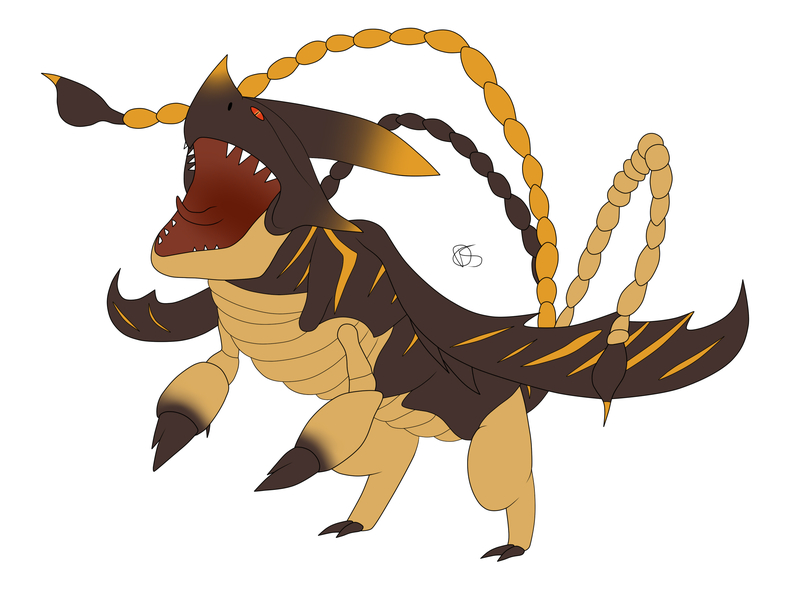 My Ukrainian Mistus, Vericops, by Megaboltphoenix! Thanks! 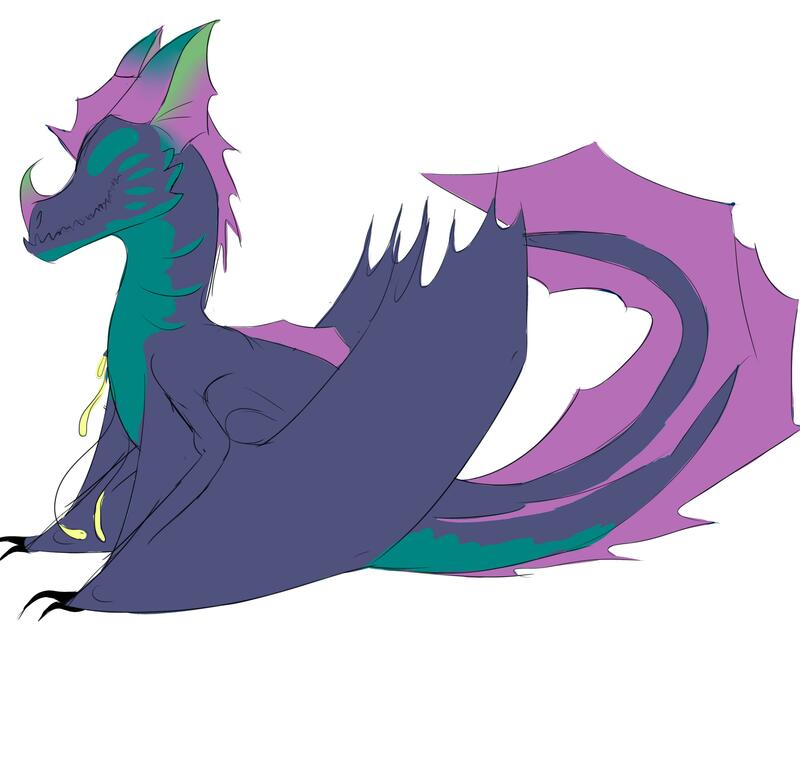 Spikes, adopted from Georginia47, base by Megaboltphoenix. Click on pic for info. 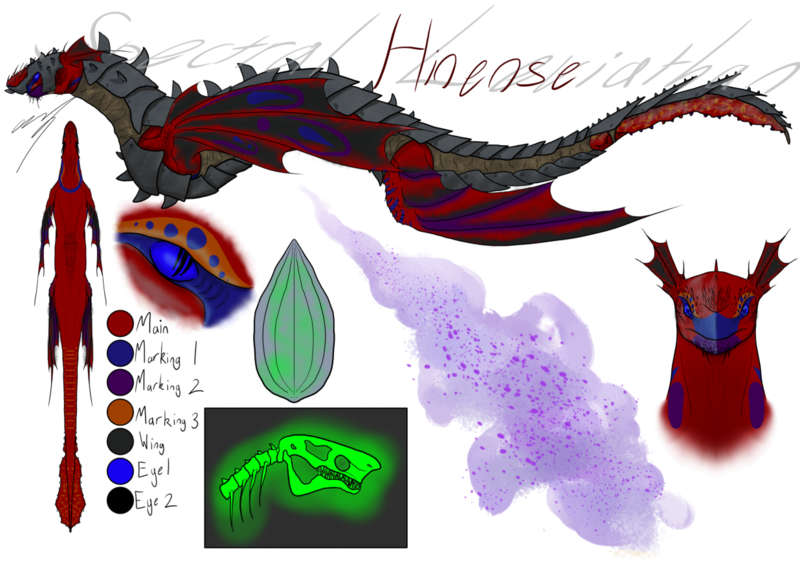 Hisense, my Sprectral Leviathan adoptable, by the amazing Wutend Bonfire! Awesome drawing of Sy by 1flower! 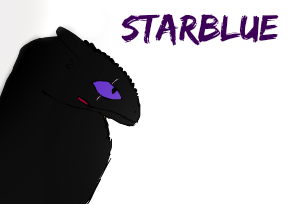 Starblue by the creative and talented FloofQueen! ​OH THOR​ OH THOR !!! You guys need to see it from an other perspective bcs let's say the egg is a night fury egg, then ppl would not need to buy a membership for them to have a night fury ( bxs that why mist ppl buy membership ) and if this happened the game developers will lose lots and lots of money. An other thing is that why would hicupp and toothless will be sapparated when this all started bcs HICUPP wanted to PROVE yo everyone that DRAGONS and VICKINGS can LIVE together ????!! 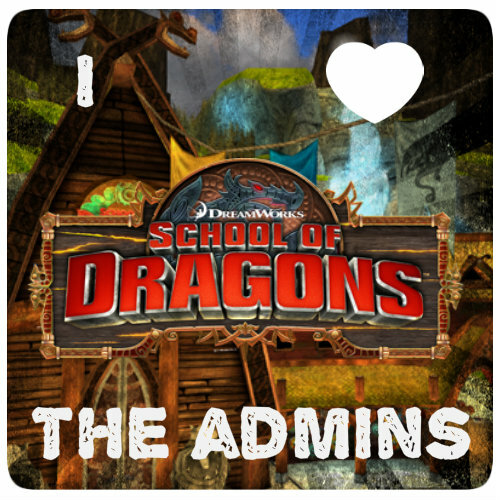 And if this happens then what is going to happen to the game bcs you can't play SCHOOL OF DRAGONS without any dragons !!!! Soon my point is why would they make all of this which would effect every think in a negative way for them bcs they will lose lots of mobey bcs of this. You guys need to see that the movie will probable come out in 2018 ..two years from now.. Soon my theory is that they are saying all this stuff 1 maybe aoo they will surprise us ( which is not the first time :) ) or 2 so they can see how the ppl are going too react to this . I will scream of happiness because finally someone that understands. A lot of people say that it was a Night Fury Egg, but also many say it wasn't. I'm looking at the positive: if it's a Night Fury, HURRAY! 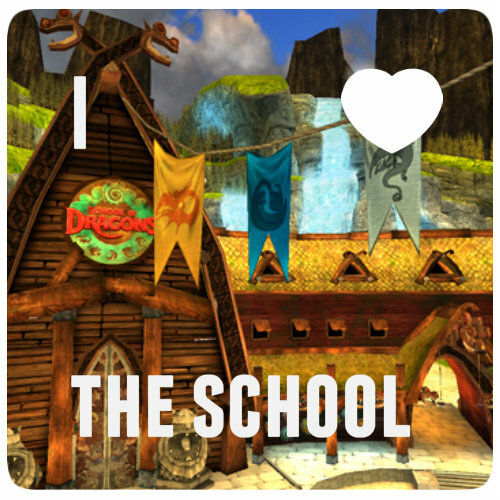 If not, a new Dragon, HURRAY! It's a win-win. Please subscribe to my channel, Apoa's Shadow on Youtube. NOT A QUEEN, A KHALEESI. 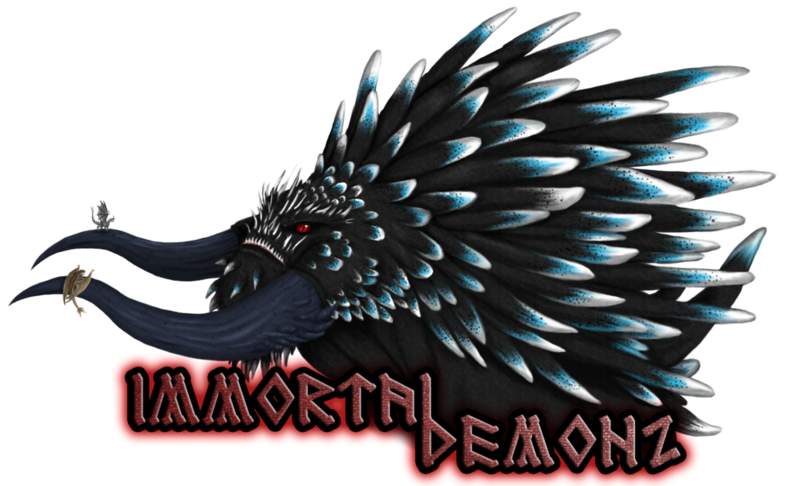 Check out my Youtube Channel, Apoa's Demon. I hope you will join me in the sky, like many others. Here are all my Dragons, shown in order of bonding with them. 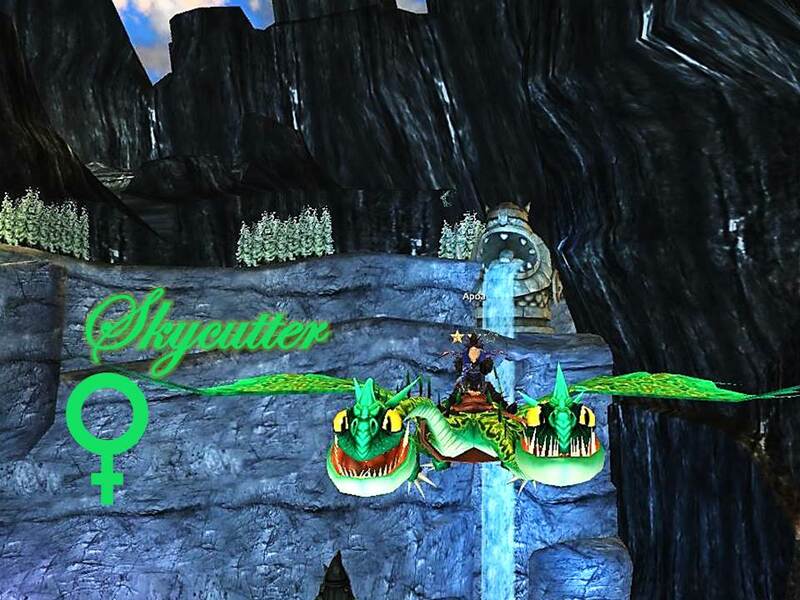 Skycutter, a Hideous Zippleback, is a shy and smart Dragon that preffers solitude. But that also means that I'm the only one in the world she really knows and loves. 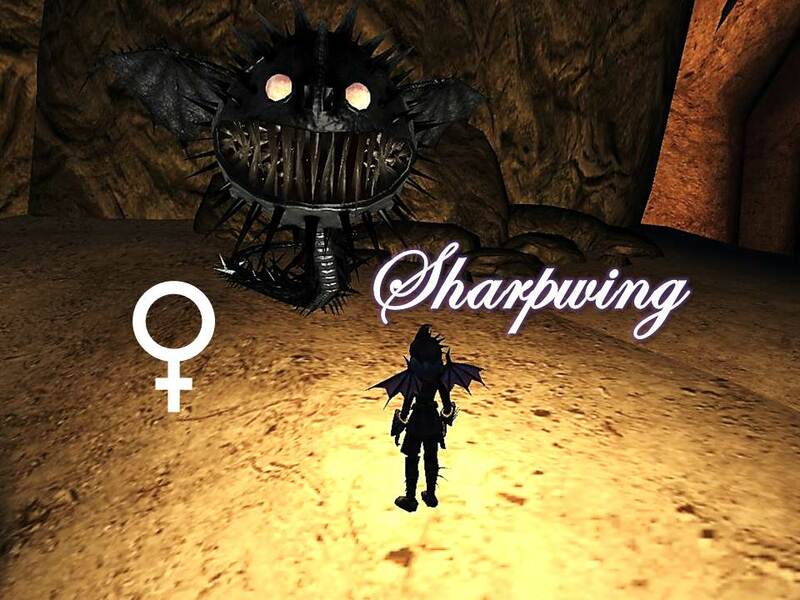 Sharpwing, a Whispering Death, is an agressive Dragon that lives in the dark caves beneath Berk. On those rare occasions when I can find her, she is very distant and almost never allows me to ride her. 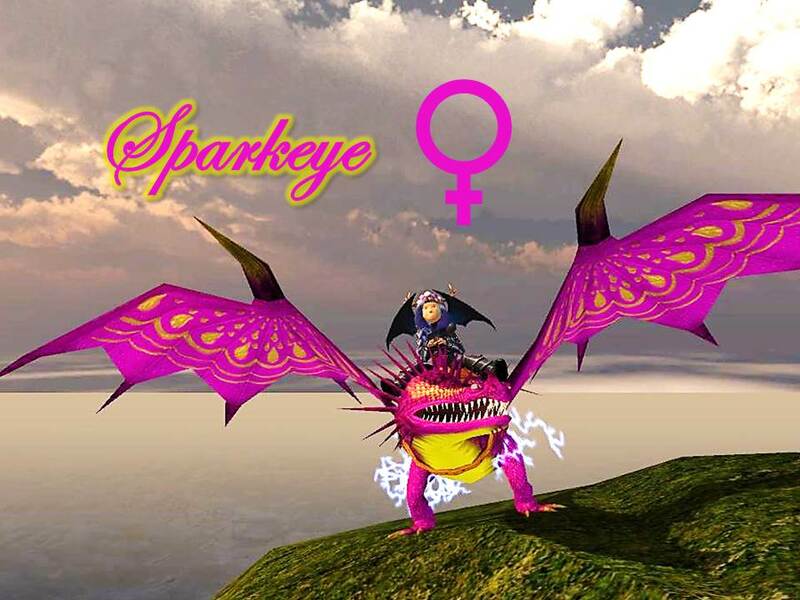 Sparkeye, a Skrill, is a wise Dragon that never fights and can solve every conflict. 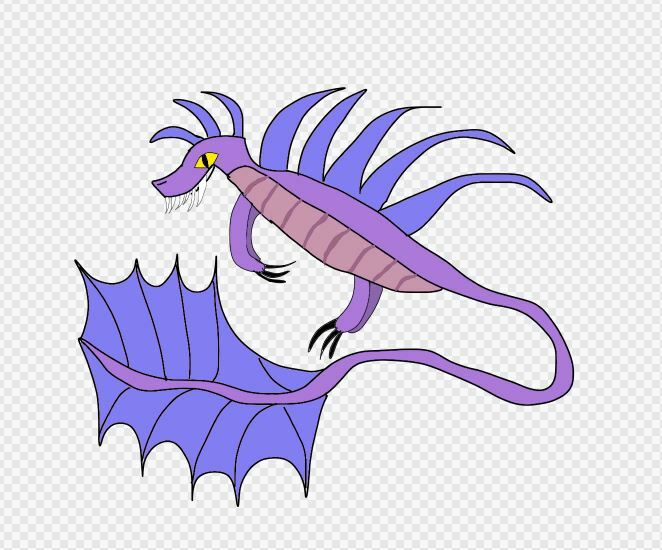 Pepy, a Snafflefang, is a playful Dragon that hates work and usually plays with other Dragons in the Wilderness. 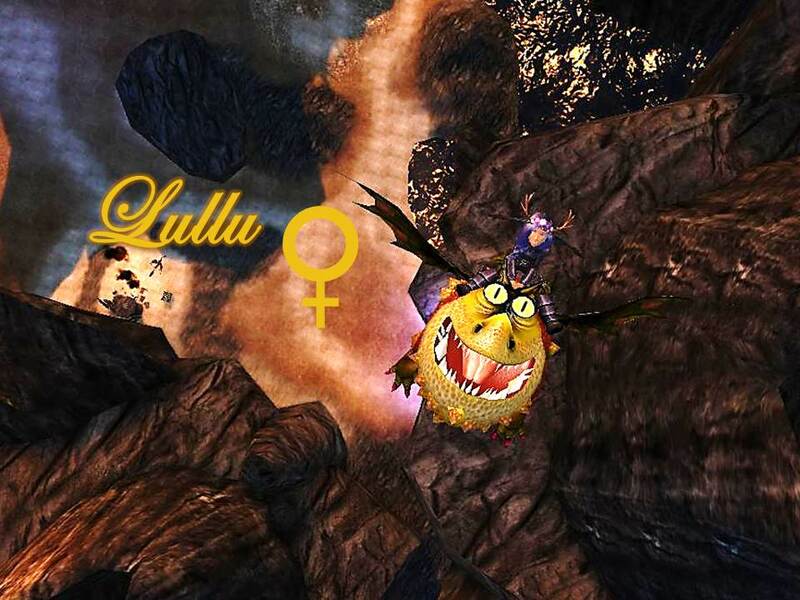 Lullu, a Gronckle, is the happiest one. She is always happy, no matter what. 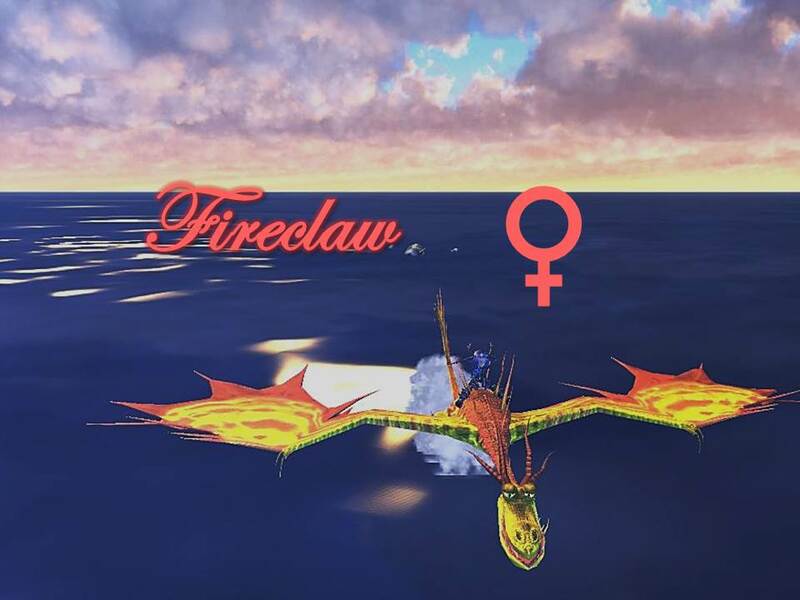 Fireclaw, a Monstrous Nightmare, is a curios Dragon that loves investigating. Every time she finds something new, she has to know exactly what that is. 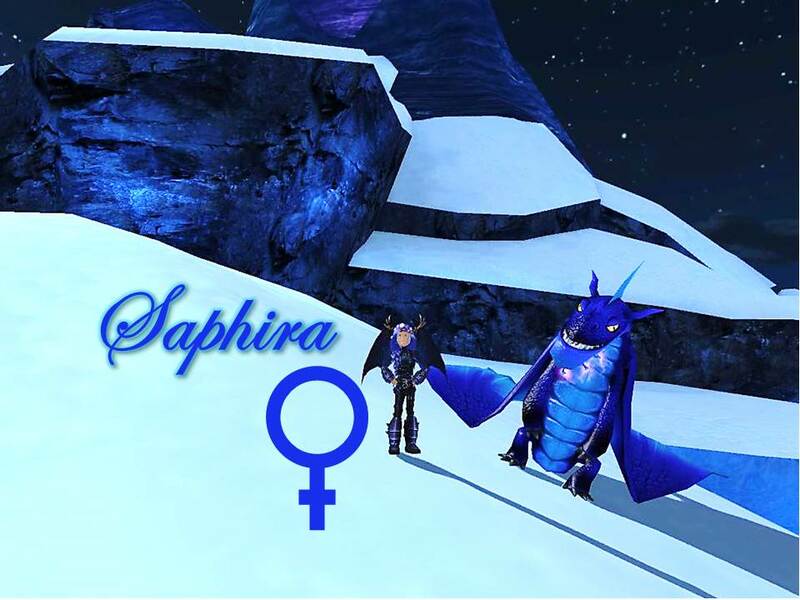 Saphira, a Shockjaw, is the competitive one. She loves Racing, and won't stop until she comes first ten times in a row. 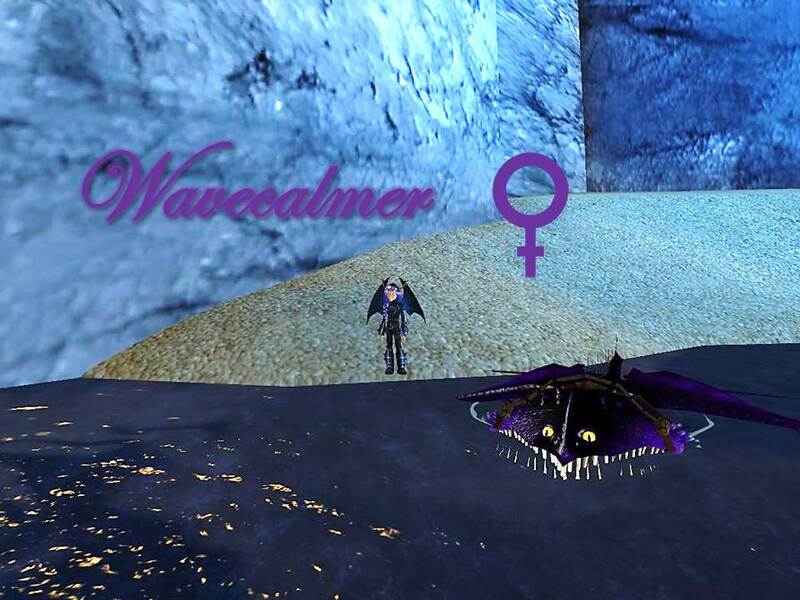 Wavecalmer, a Thunderdrum, is the gentle one. 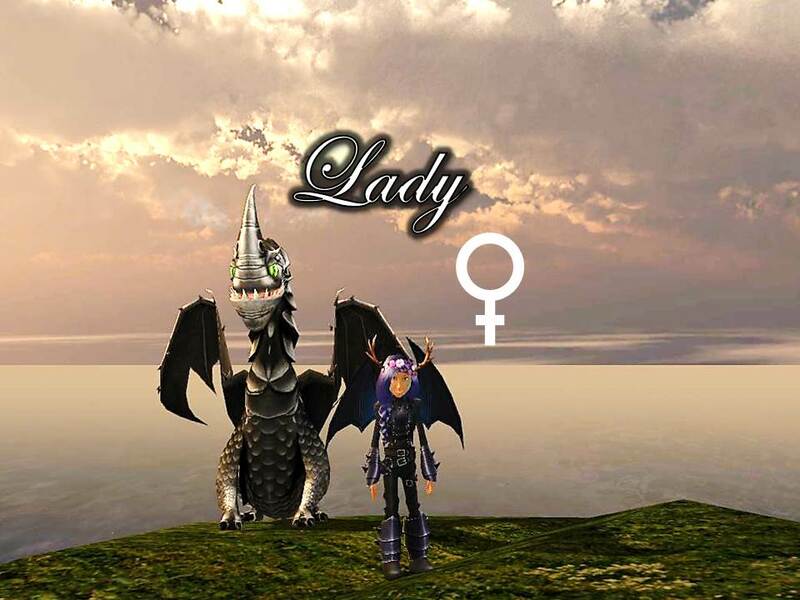 She never fights with other Dragons, and helps everyone she can. 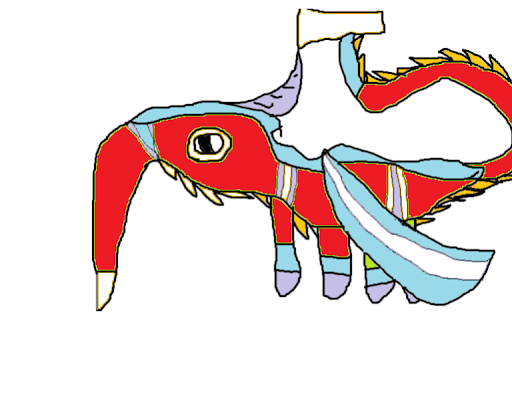 Brighteyes, a Deadly Nadder, is the strong one. She sacrifices herself for everyone, and never regrets anything. Softie, a Hotburple, is the lazy one. She spends her days sleeping in the Stables, and it's impossible to get her out for a flight. 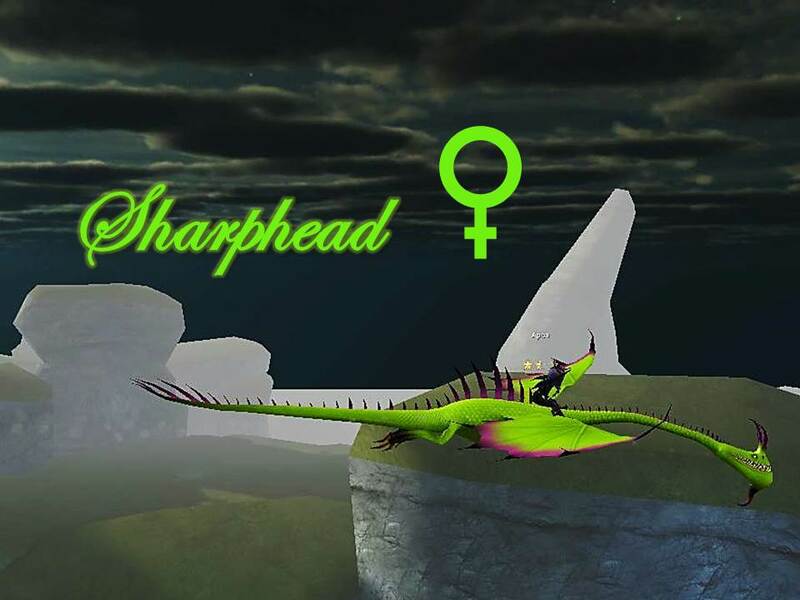 Shaphead, a Devilish Dervish, is also one of the wiser Dragons. If we're not flying together, she usually hangs out with Sparkeye. Braveheart, a Mudraker, is the brave one. 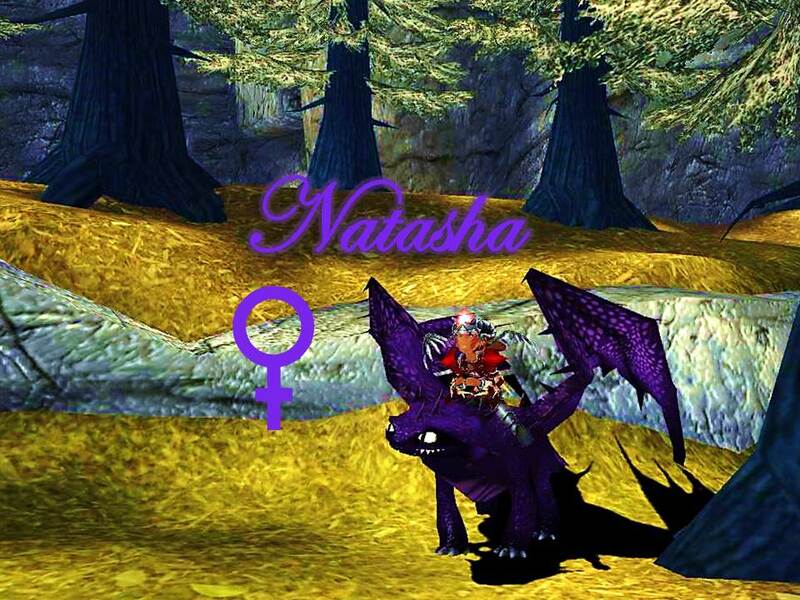 When he was only a hatchling, I rescued him from the Dragon Hunters. Now, with my help, in his heart there are flames of bravery that will never stop growing. Shaggydog, a Night Terror, is the wild one. Even though he's trained and we have a very good bond, he doesn't like chains or cages and will do anything to stay away from those. 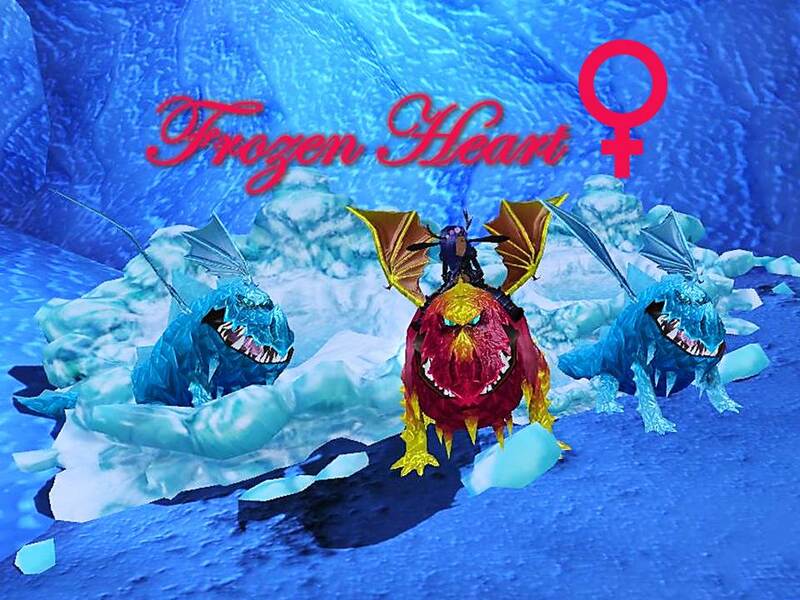 Frozen Heart, a Groncicle, is the spirited one. 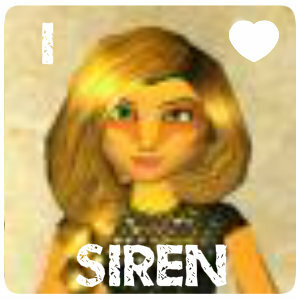 She usually spends her time at Icestorm Island, with her family. 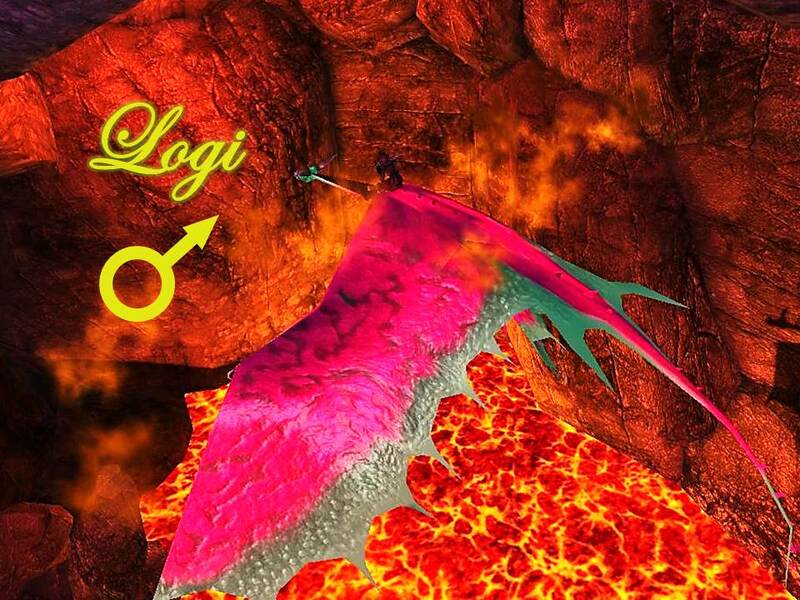 Logi, a Typhoomerang, is the protector. He is extremly loyal to me, but is only dangerous if you try to hurt me, or anyone else. 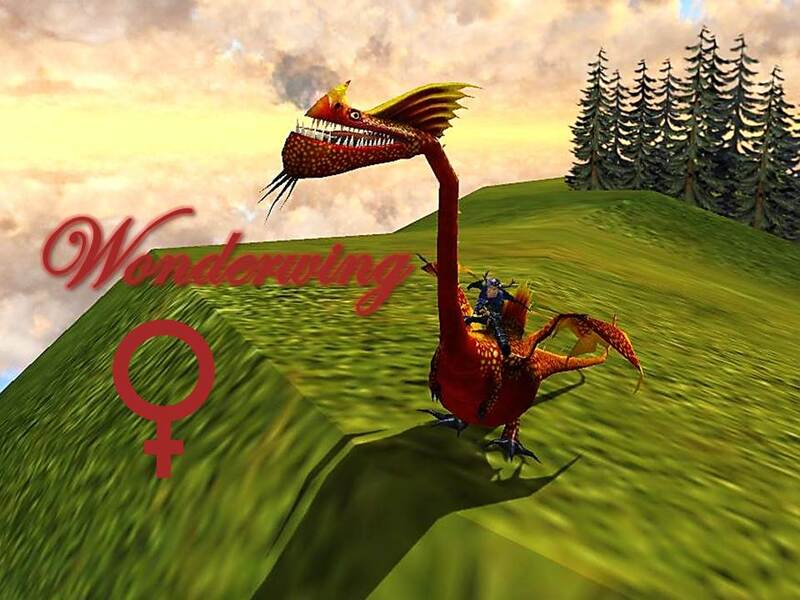 Wonderwing, a Raincutter, is a cruel but fair Dragon. 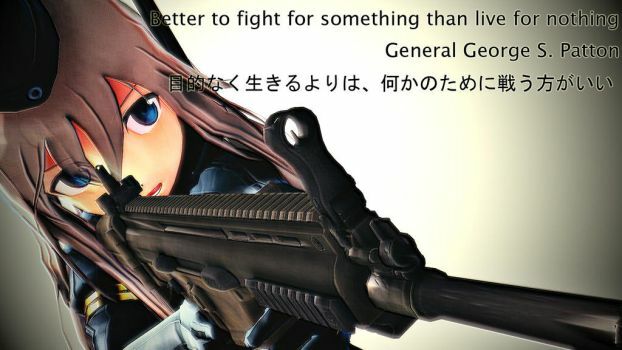 She stands for justice, and can be deadly if injustice is shown to her. Lady, a Razorwhip, is an explorer. She loves exploring new islands and searching the sea. Unfortunately, she never plays with her sister Cersei. 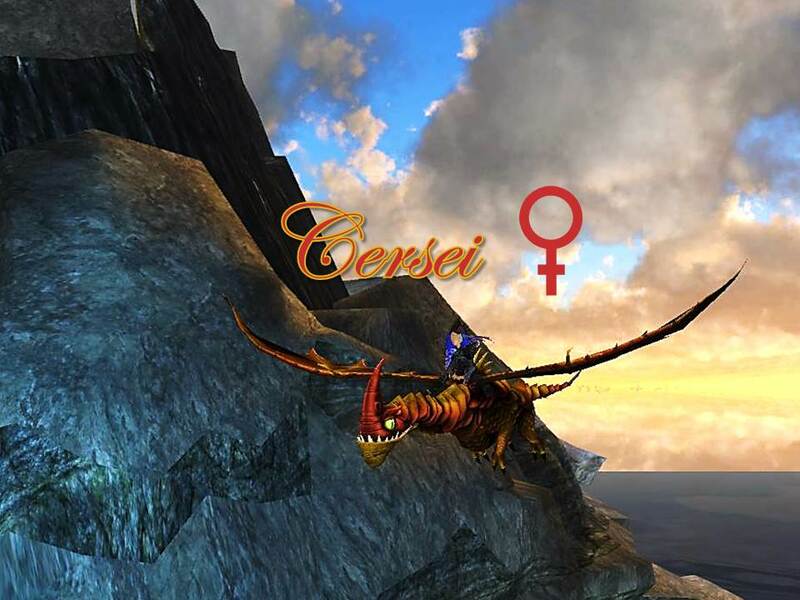 Cersei, a Razorwhip, is full of anger, fear and sadness, because she never met or even saw her mother. She doesn't like other Dragons and other Vikings, and I'm the only one she trusts. Frozen Soul, a Snow Wraith, is the guardian. She is the one that never sleeps at night, because she flies around with me, making sure that everyone is safe. 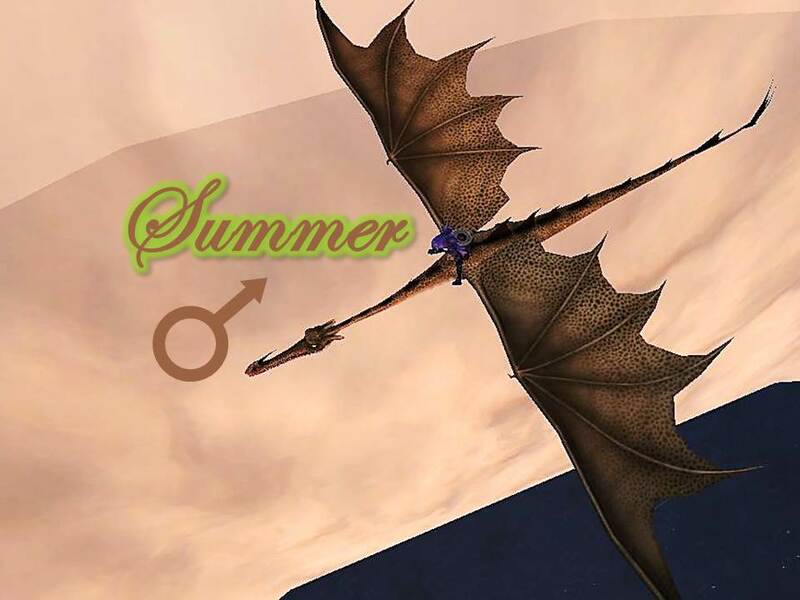 Summer, a Windwalker, likes to fly very high up to watch at everyone from above. While I can barely hold on to his back, he loves diving and making sharp turns between the clouds. Princess, a Fireworm Queen, is a real drama queen. When she hatched alongside her 1 253 brothers, she walked right into my Stables. Of course, she had to roar all the time, because that's what she just has to do. Natasha Romanova, a Sand Wraith, was born for races and killing. Fortunately, she's trained well enough to know right from wrong. Ghost, a Screaming Death, is a real explorer. He likes to fly around and look for new islands with Lady. 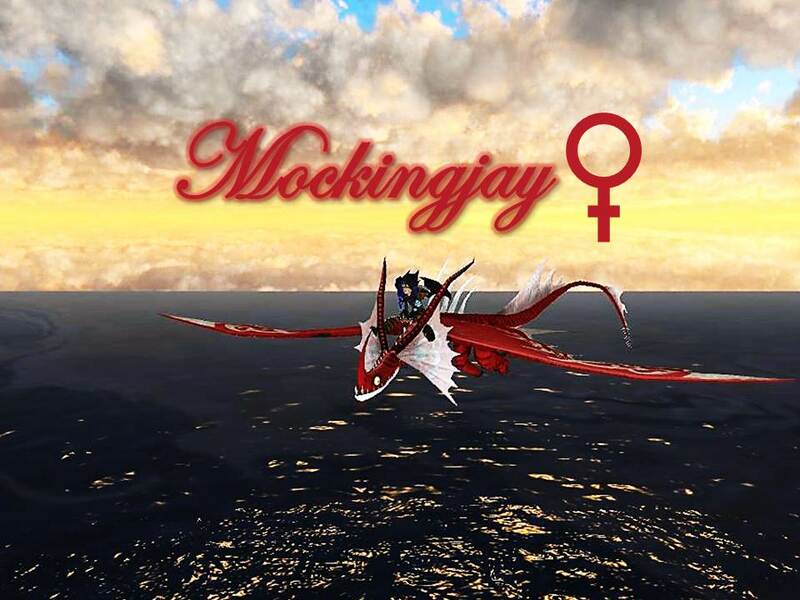 Mockingjay, a Deathsong, is a lonely Dragon I saved from Melody Island. 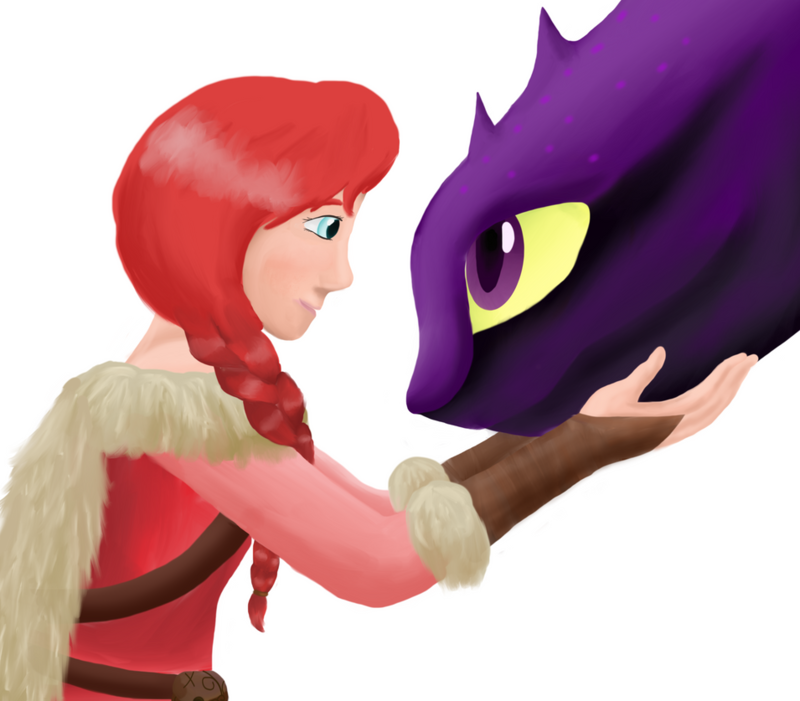 Since many Dragons are afraid of her, I'm always there for her. 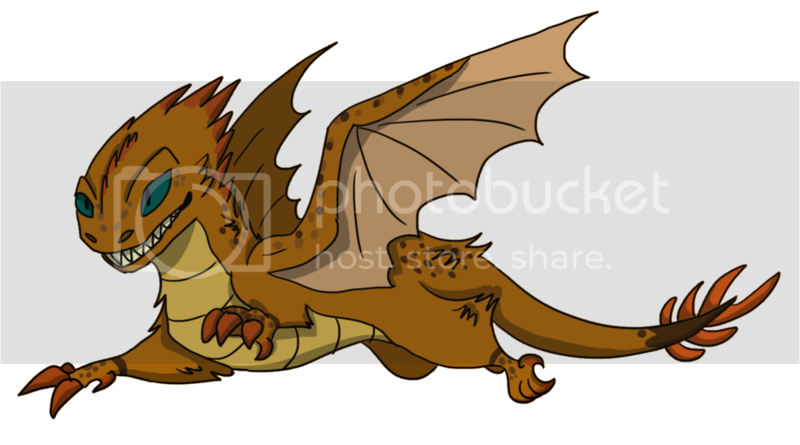 Viserion, a Shovelhelm, is a proud, strong Dragon that protects everyone he trusts and kills everyone that betrays him. He's a great friend to have and your worst nightmare if you betray him in any way. 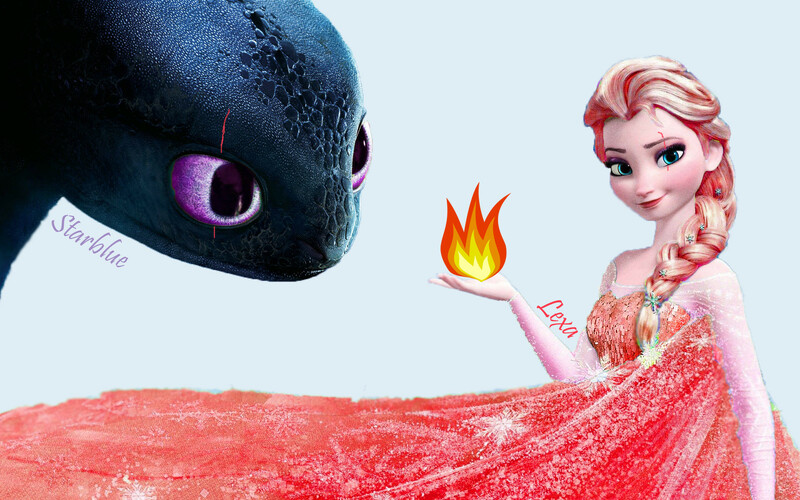 Daenerys, a Timberjack, is a strong, proud Dragon that takes what she wants, but still has a big heart. 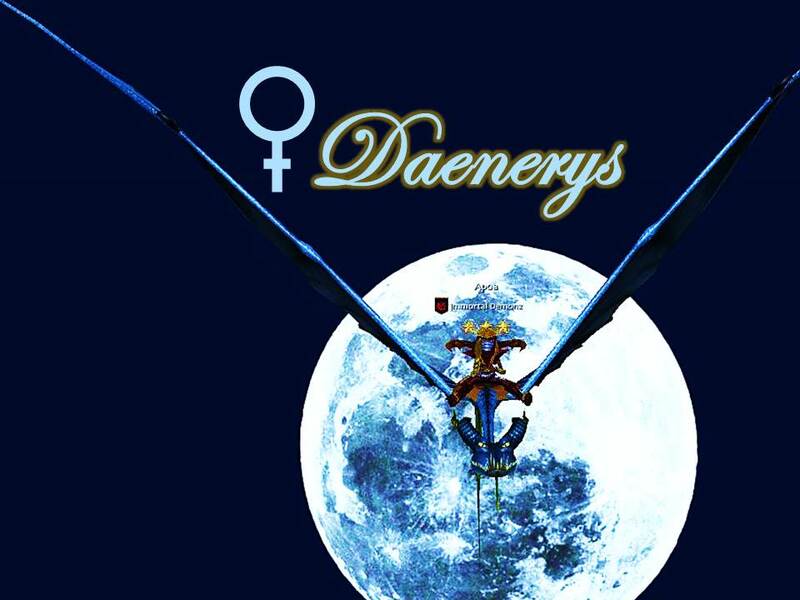 She's the breaker of chains and Khaleesi of the sky. 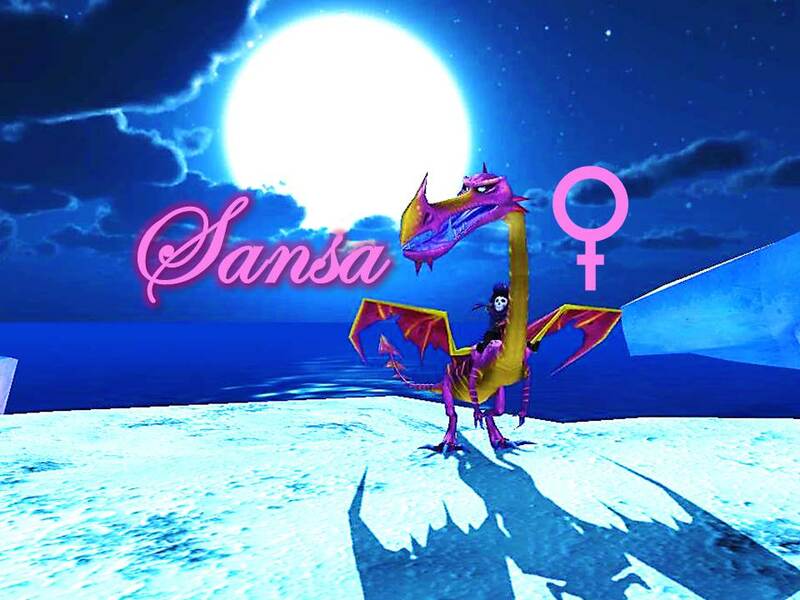 Sansa, a Shivertootth, is a young, happy Dragon with big dreams. 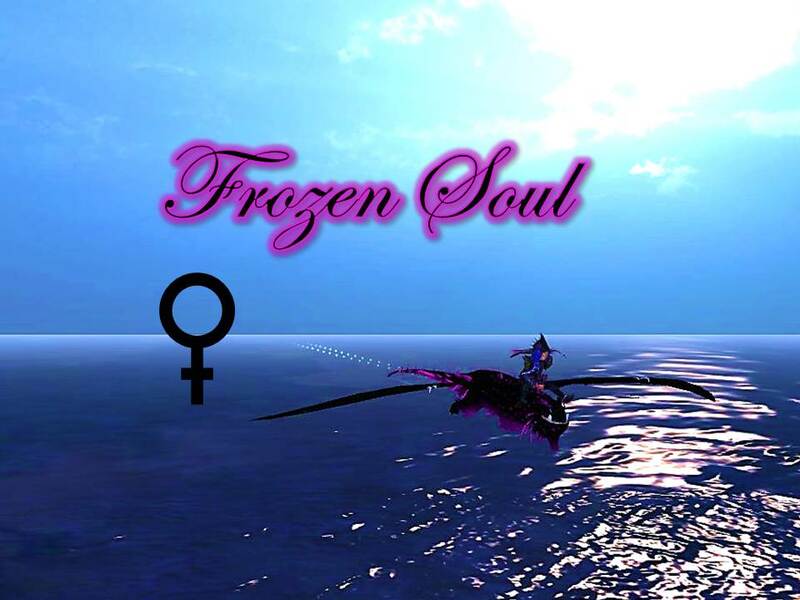 If we're not flying around Icestorm Island, she is definetly somewhere near Ruff and Tuff. actually no ... it is not a win - win , bcs if they do a night fury egg that means that then they are going to make the BIGGEST MISTAKE OF THERE LIVES and make the story of the third movie as ppl are saying it is going to be right now ( WHICH IS IMPOSSIBLE BCS THEY WOUD LOSE LOTS AND LOTS AND LOTS OF MONEY ) and that means that the game woud stop or continue with no story which make no sense bcs for the million time THEY WOULD LOSE MONEY AND END UP LIVING IN THE STREET ( how many times i said that ???? :/ ) soooo again that would make no sense and it is impossible for the movie to have that story . 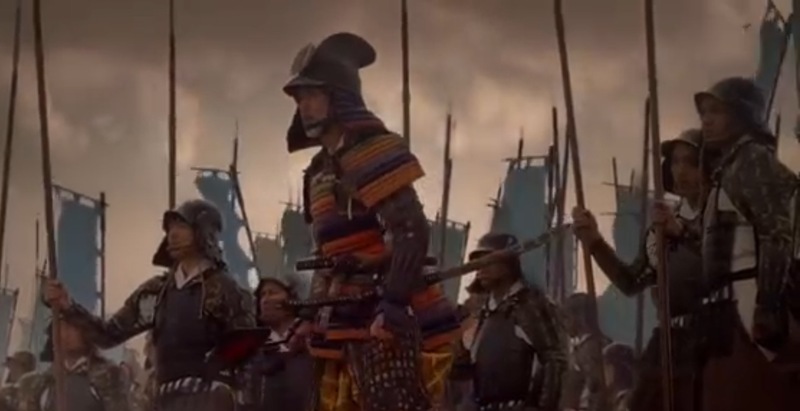 and think about this WHY WOULD THEY MADE ALL THESE UP DATES AND STUFF LIKE THIS IN GAME FOR GOD NOWS HOW LONG AND THEN RUIN EVERY THINK AND TROW EVERY THINK AWAY IN A MOVIE ??????????????????????????????? !!! I don't think they should add that. There is only one night fury yet; toothless. There are currently 26 users and 150 guests online.